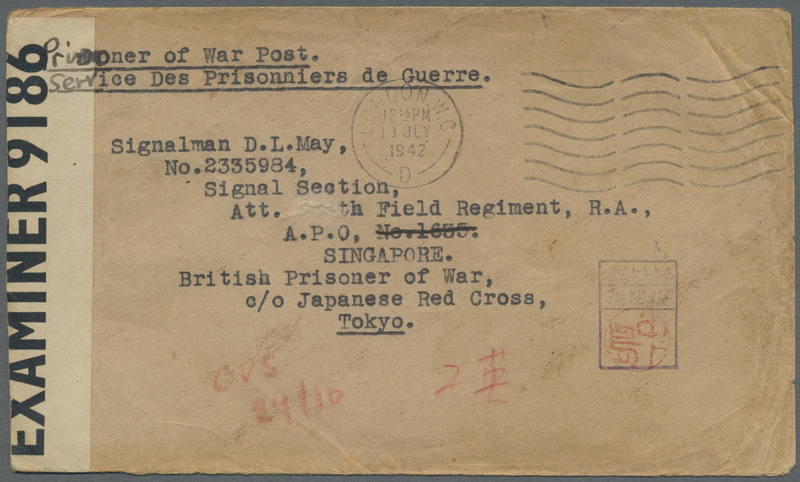 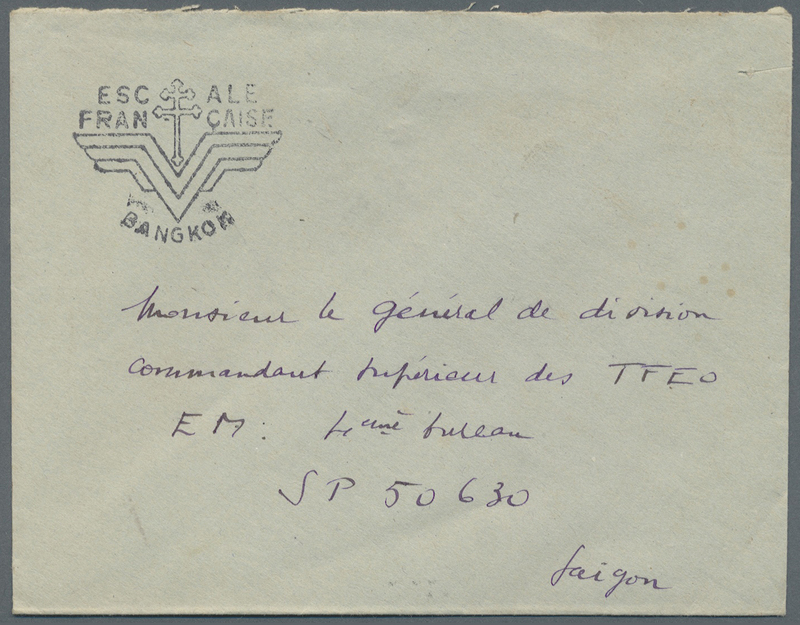 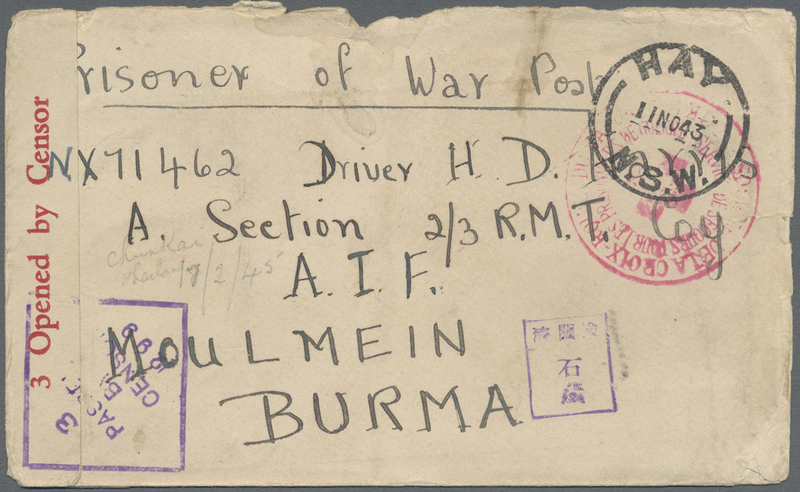 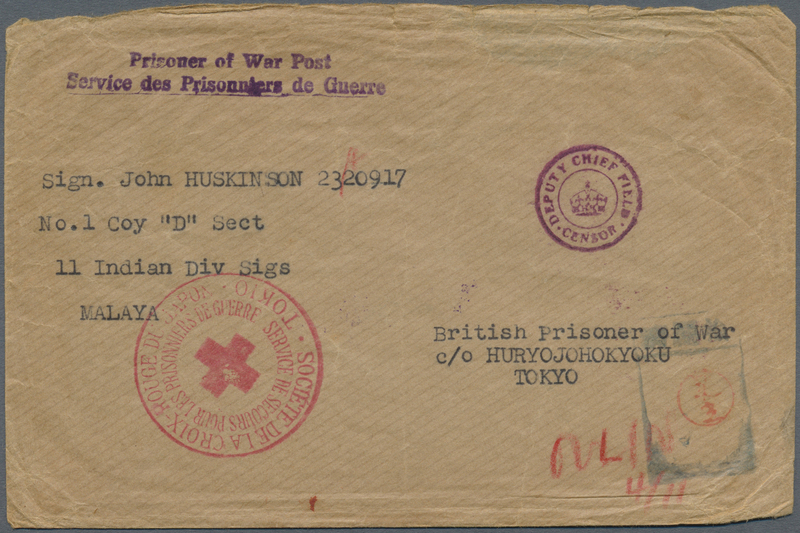 9997 Ganzsache (Complete) 1942, Japan in Thailand, special military air mail double card, reply card with senders unit code "Thailand dispatch 15825 corps" sent to Kyoto city, Japan, slight wrinkling. 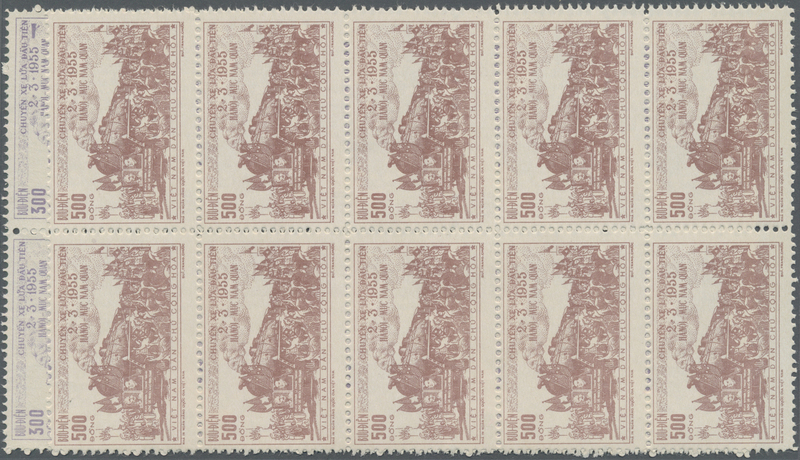 10001 Ganzsache (Complete) 1947 (ca. 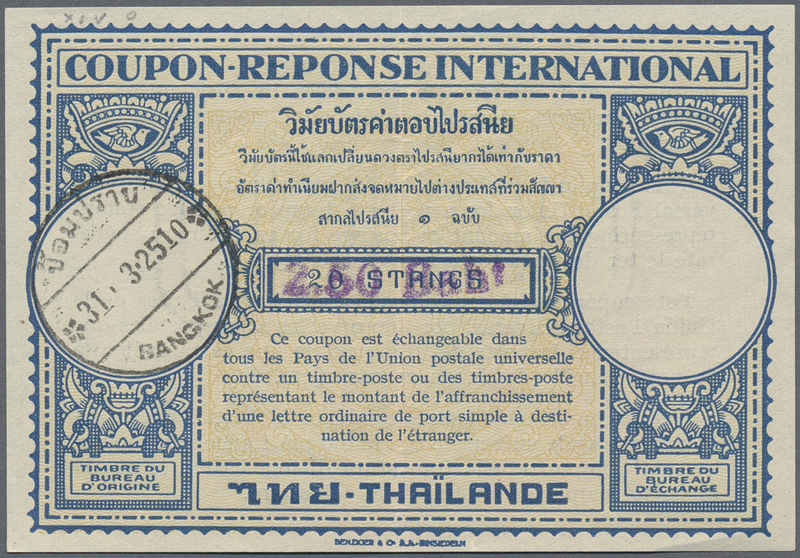 ), IRC international reply coupon: 2.50 Baht/25 Sat., used, vert. 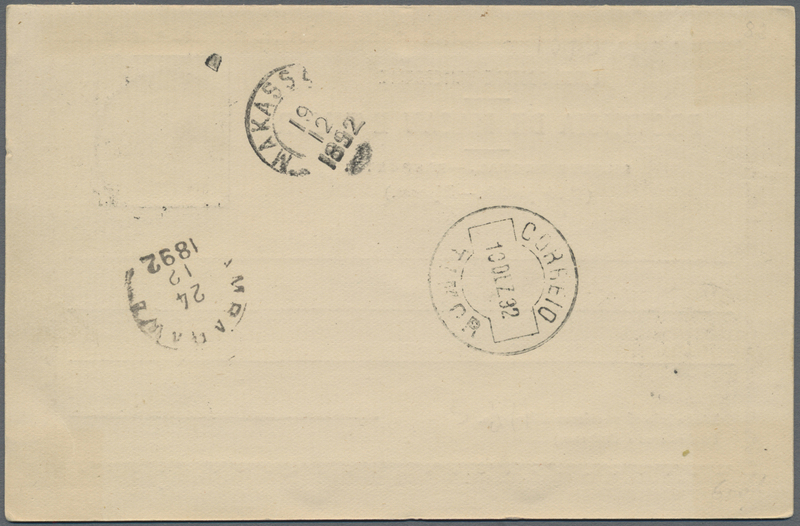 bend. 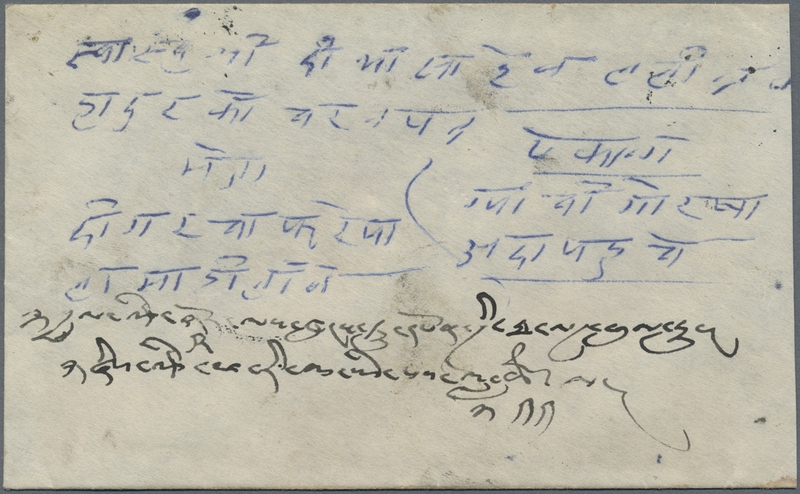 10002 Brief (cover) TIBETAN-NEPALESE WAR (1858-61), 1915./7/6/ Bikram Sabat. 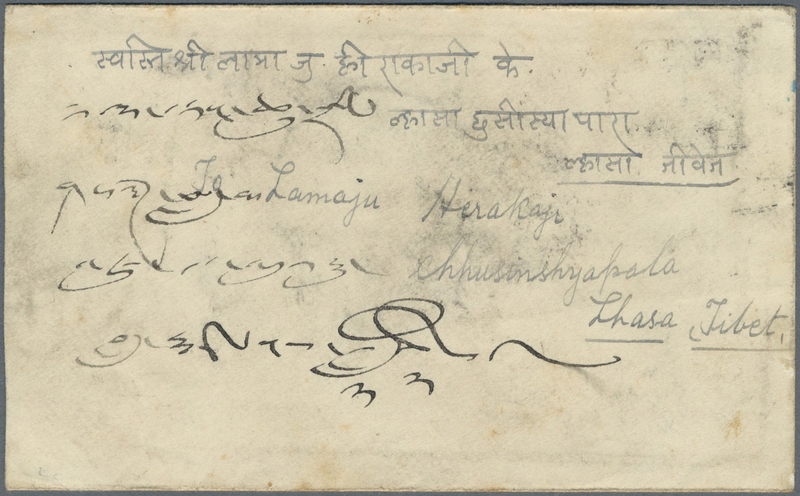 (= August 1858) field cover sent by major captain Maha Rudra Khatri (a member of the the Khatri family) from the Nepal-Tibet border (northern side of Nepal) to the Prince Commanding General Sir Jagat Shamsher Jung Kunwar Rana which was the commander of South Nepal and one of the five commanding persons at the second level of the Rana Era Hierarchy. 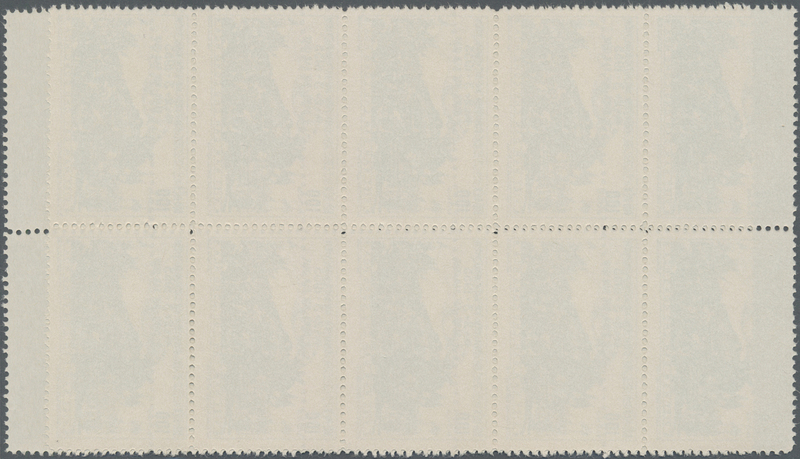 Nice negative seal on reverse. 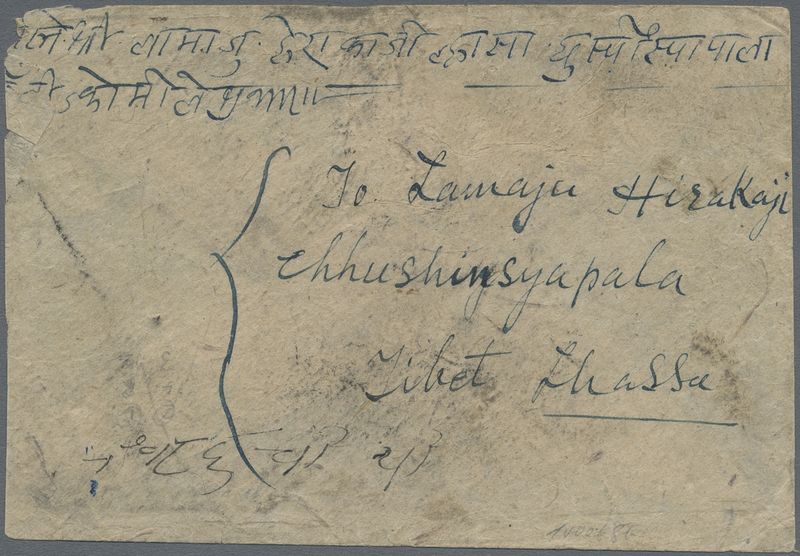 10003 Brief (cover) TIBETAN-NEPALESE WAR (1858-61), 1918/2/9/ Bikram Sabat. 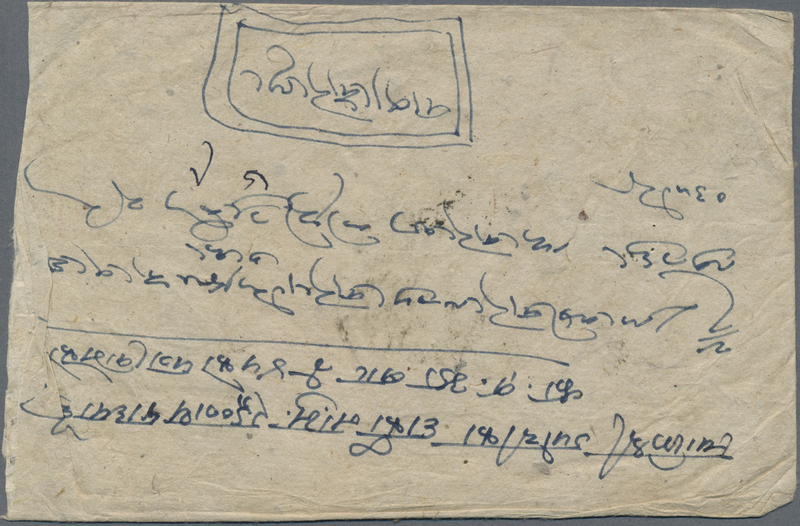 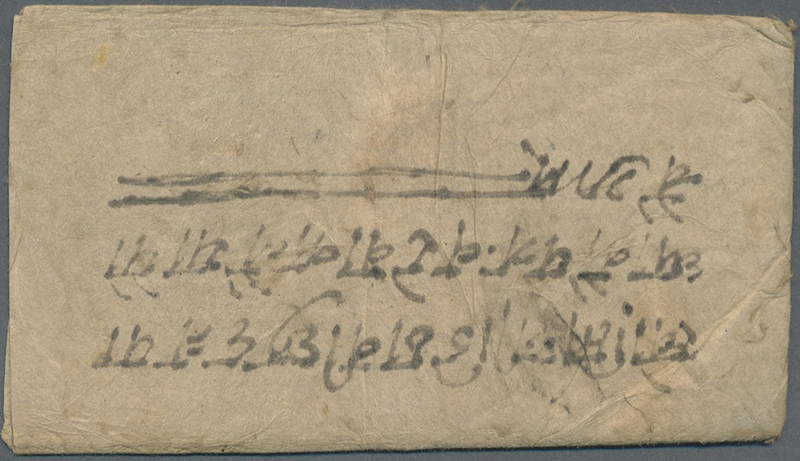 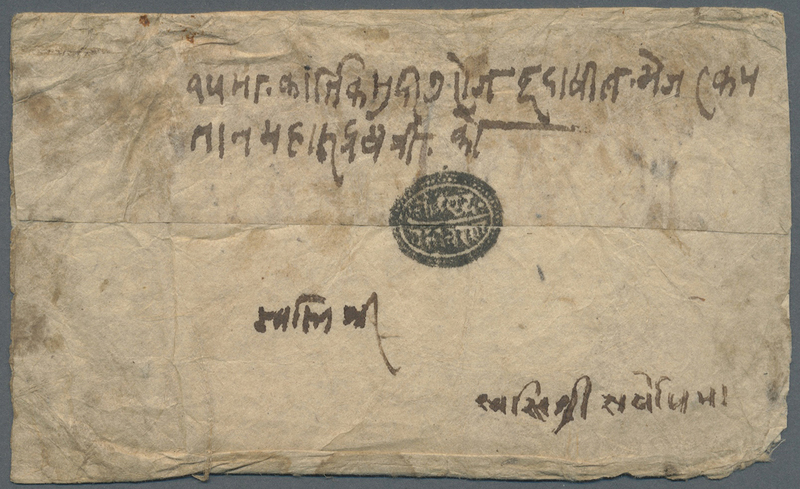 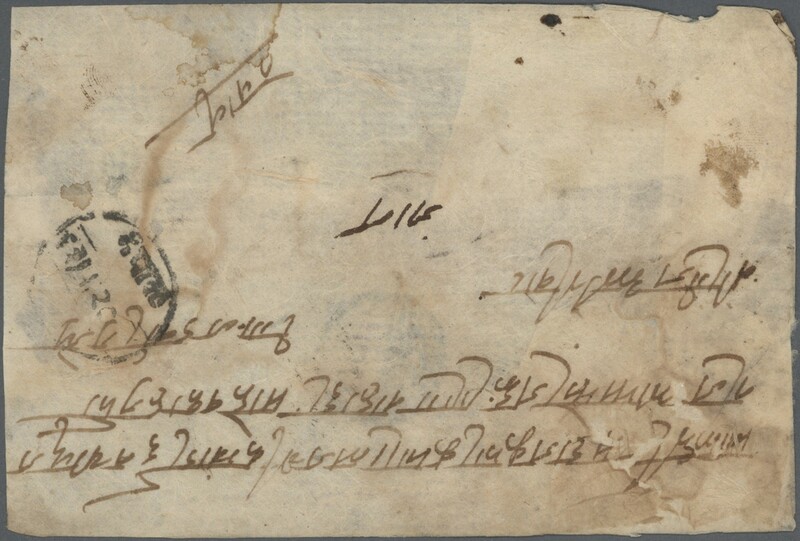 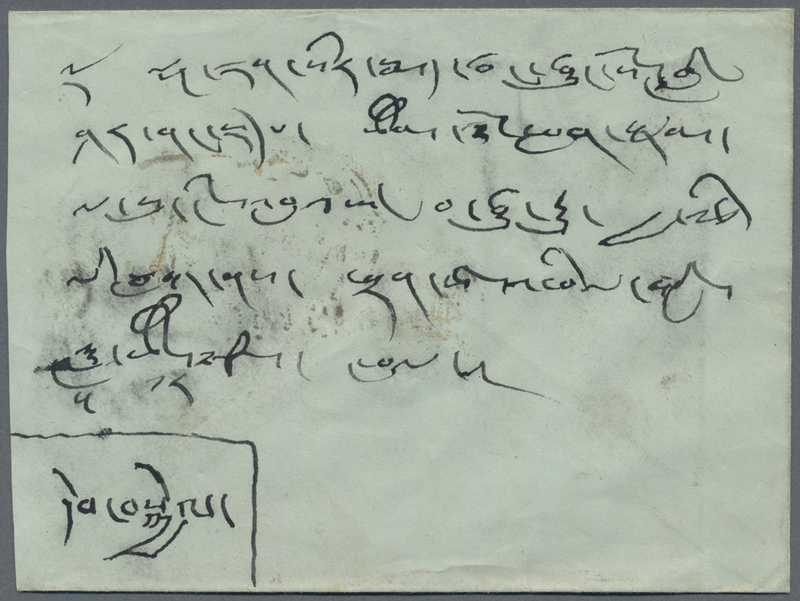 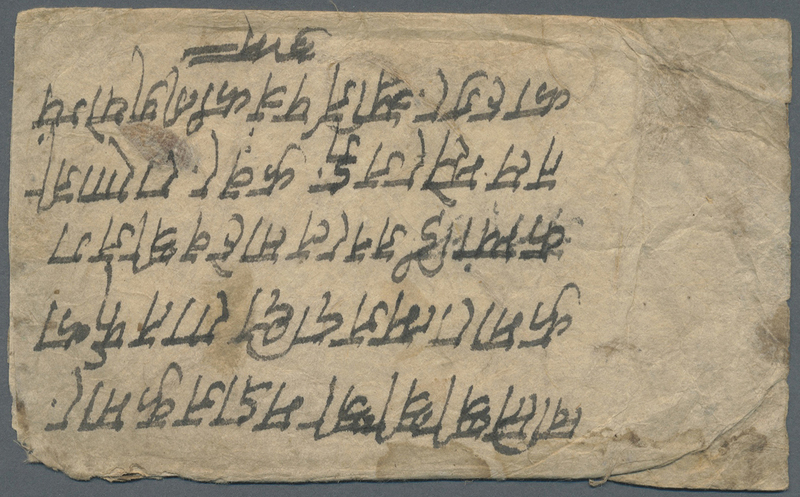 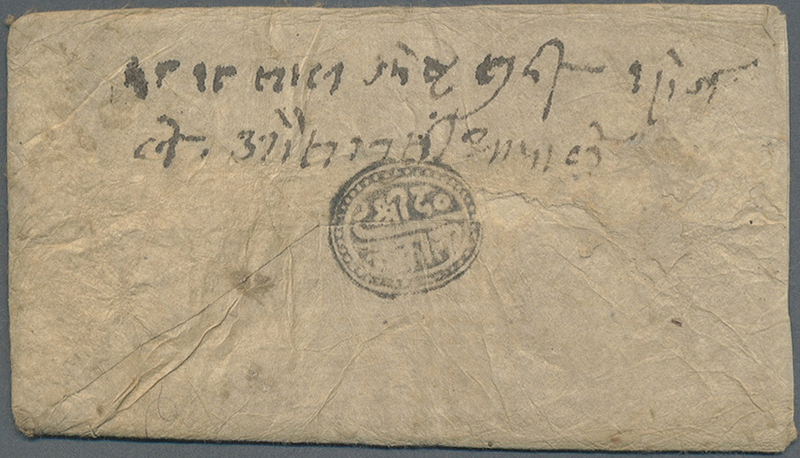 (= May 1861) field cover sent by Captain Ausat Sing Thapa (a member of the the famous Thapa Family) showing a very clear strike of the negative seal "Shree Dantakali” from Bishu Dutta. 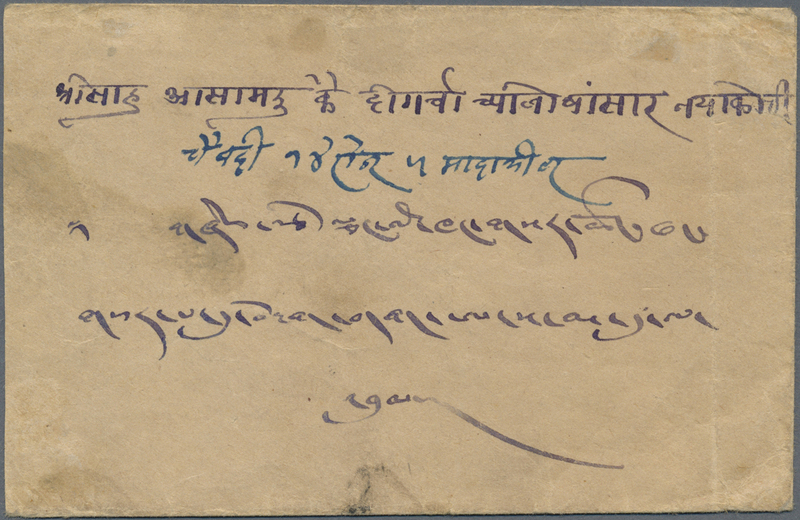 10004 Brief (cover) 1906, Kerong: envelope on government service registered from Tibet to Nepal with large court seal, originating at Nepalese court in Kerong/Tibet, to Chief Magistrate in Katmadu. 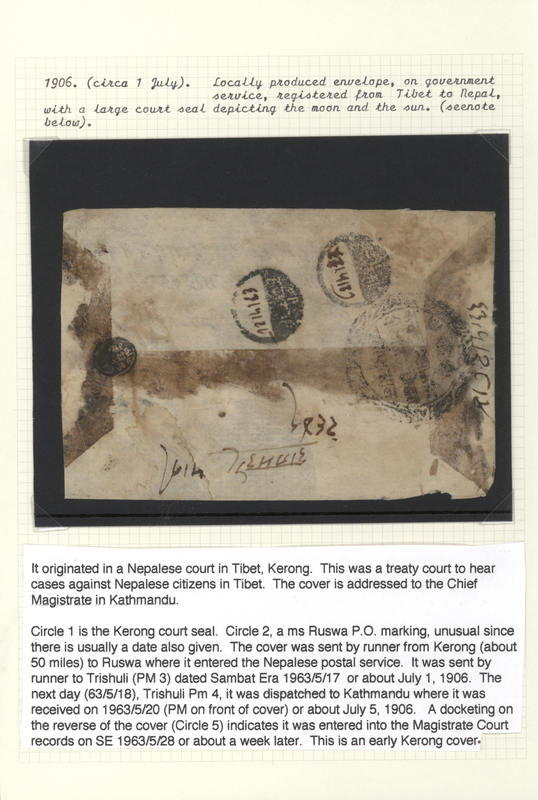 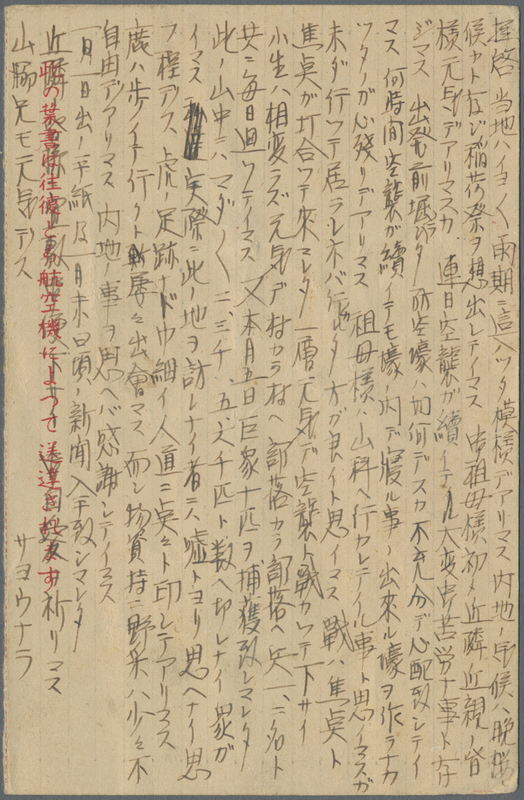 Early Kerong cover, mounted on exhibition page with detailed explanations. 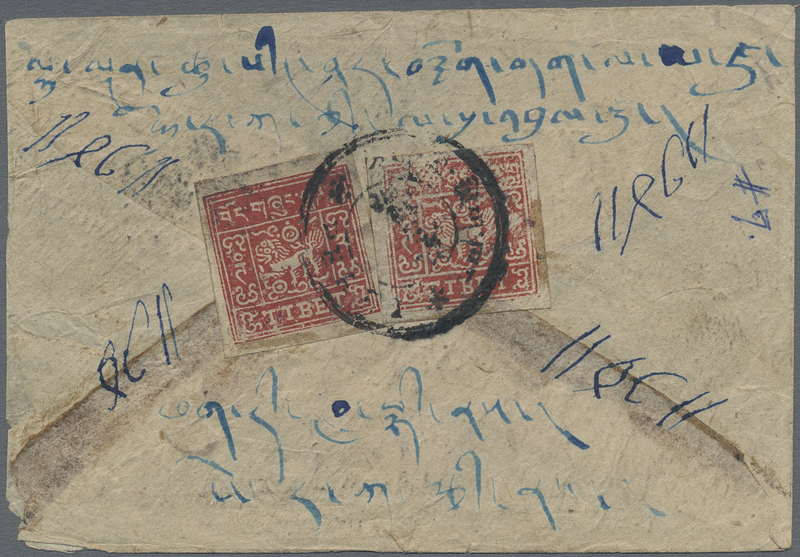 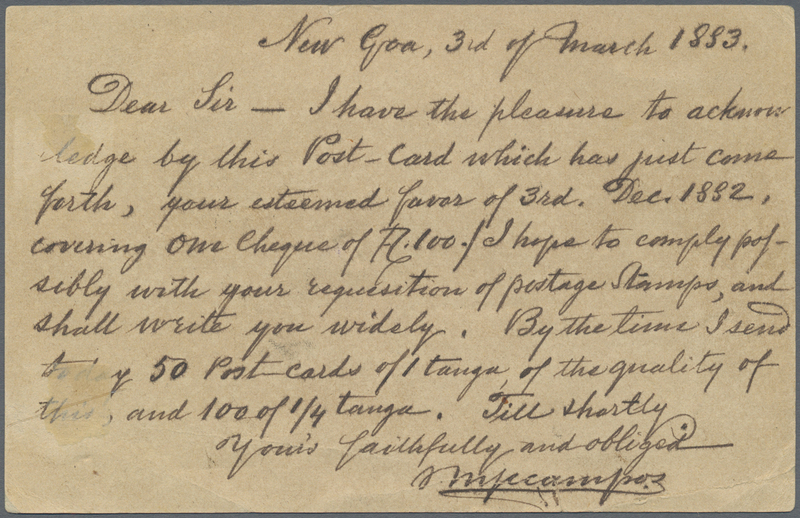 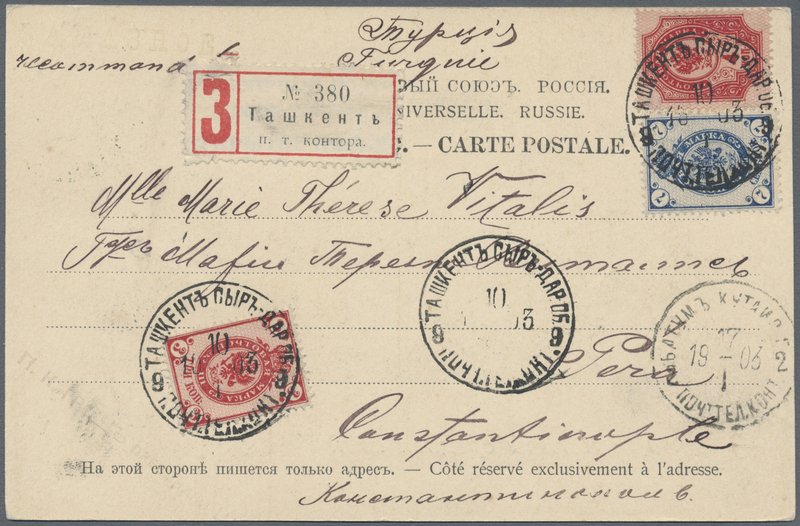 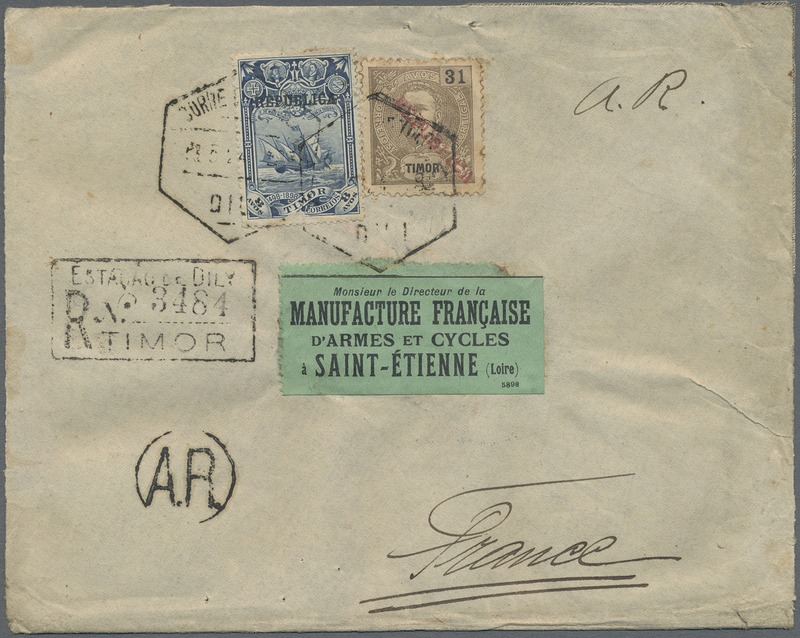 10005 Brief (cover) 1 (3) 1912, 1/6 T. bluish green (3, inc. bottom left corner copy) tied blue intaglio "LHASA P.O.“ to reverse of inland cover with violet bilingual arrival of "GYANTSE P.O." 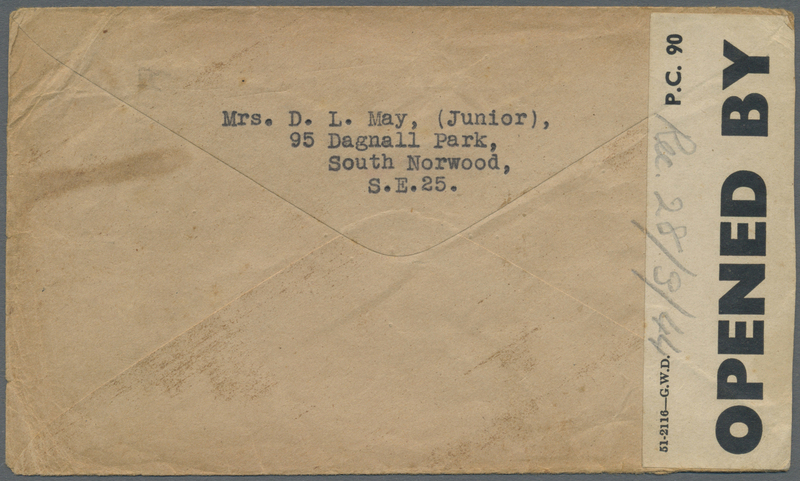 on address side. 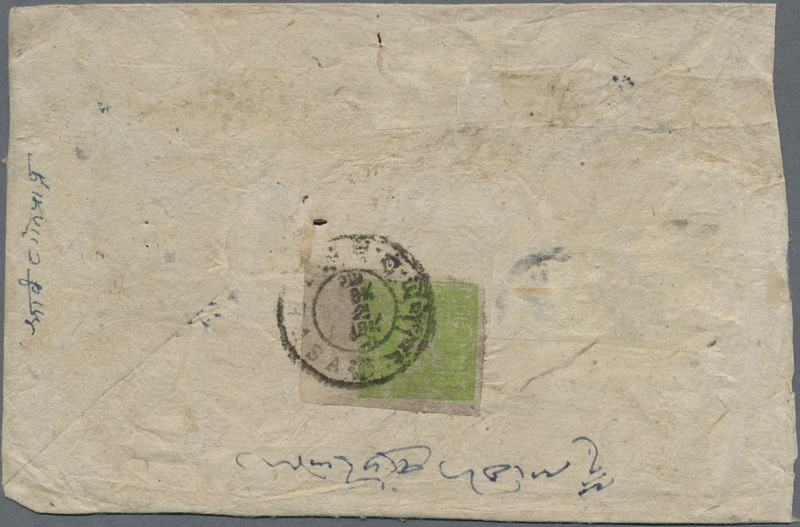 10006 Brief (cover) 1 1912, 1/6 T. dull emerald tied "LHASSA P.O." 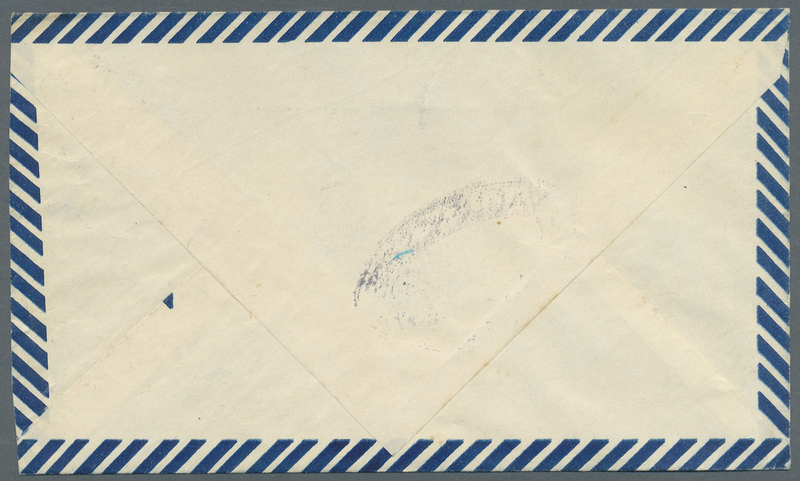 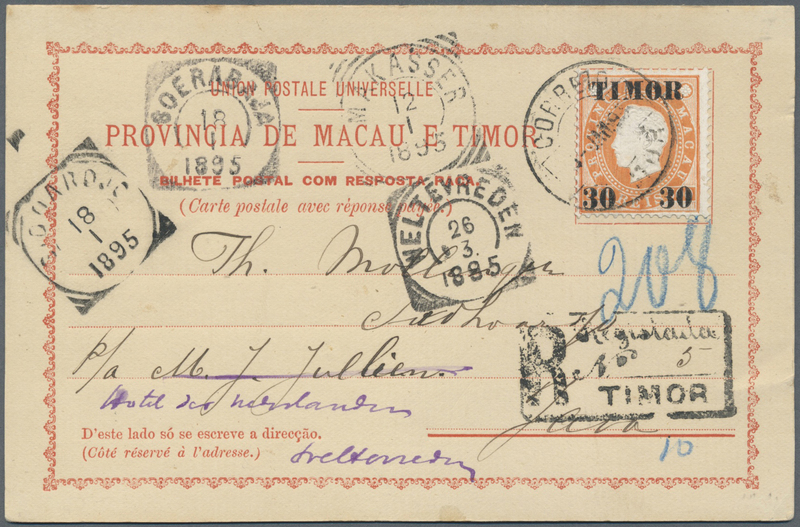 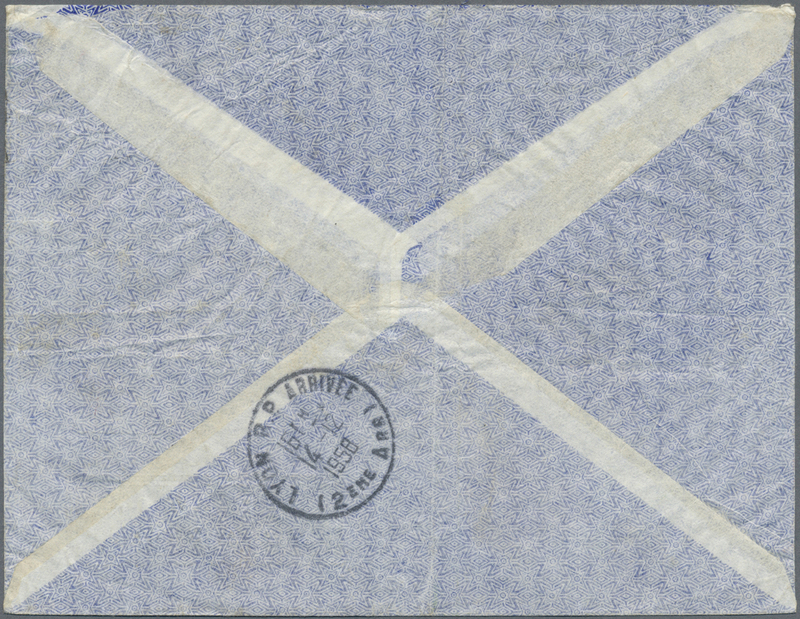 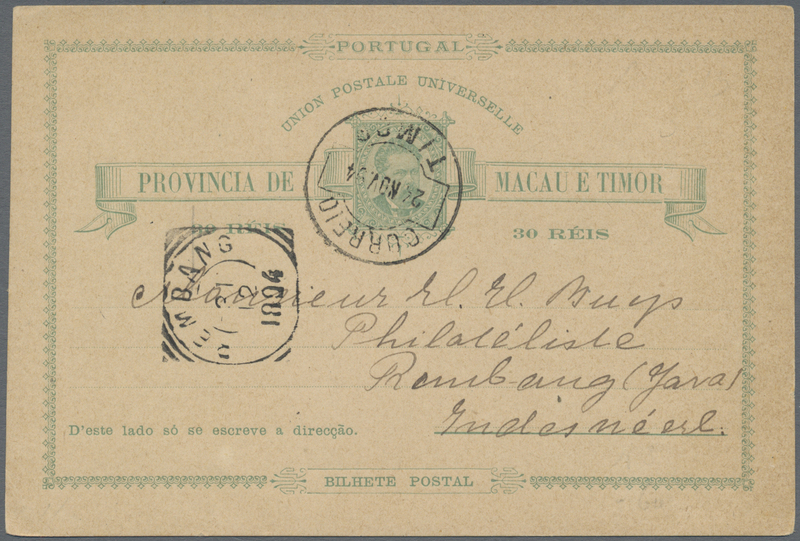 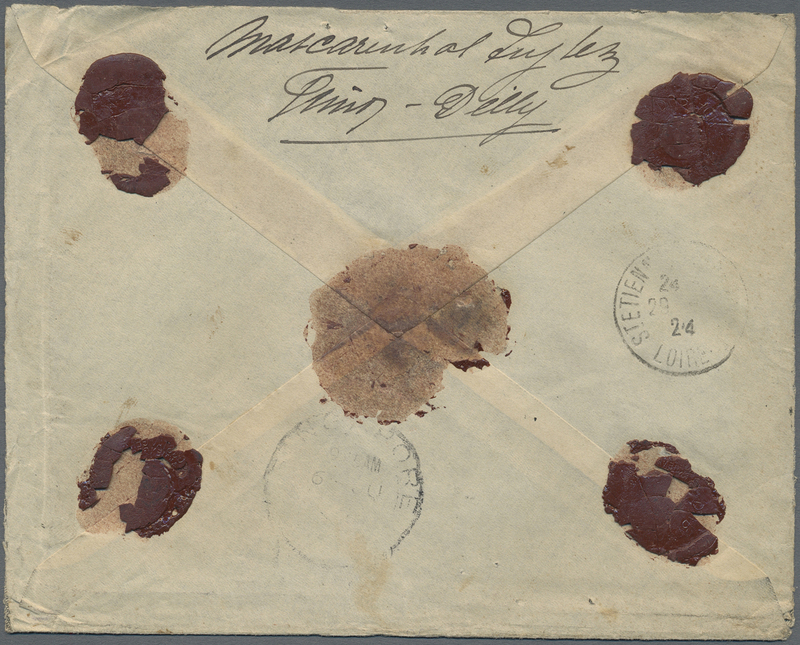 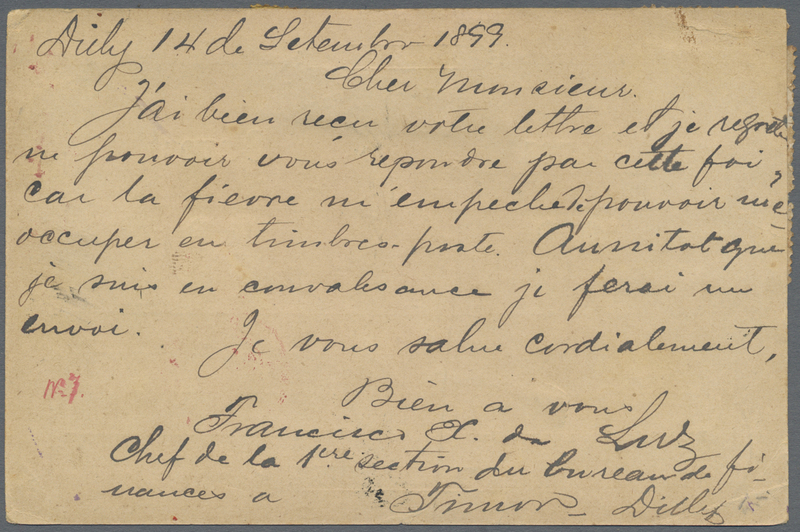 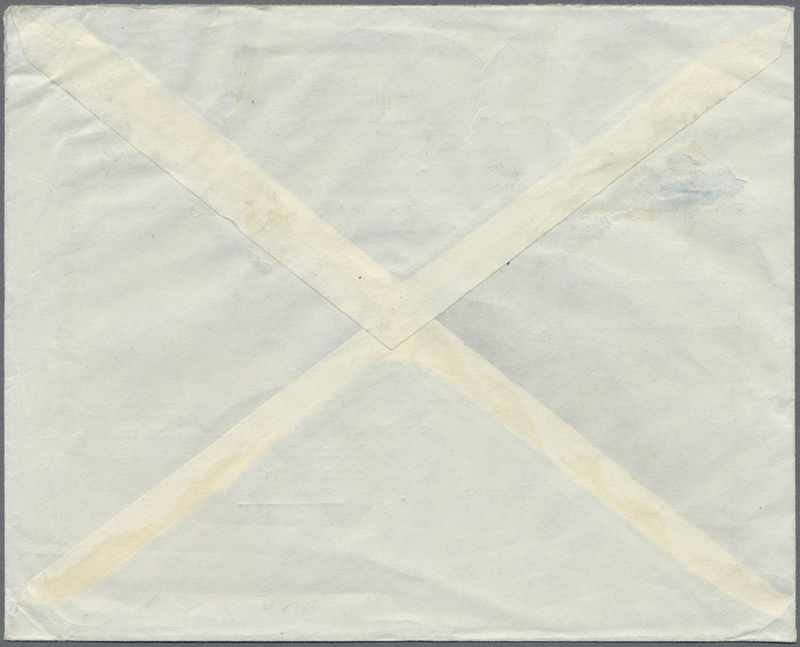 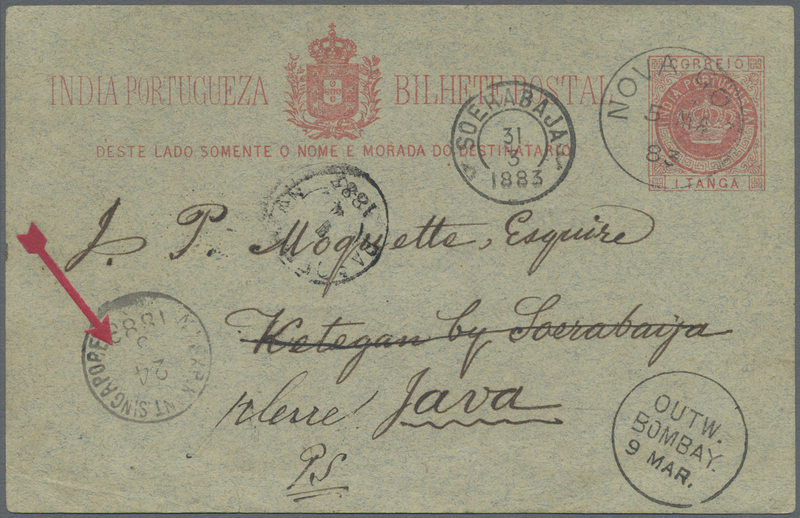 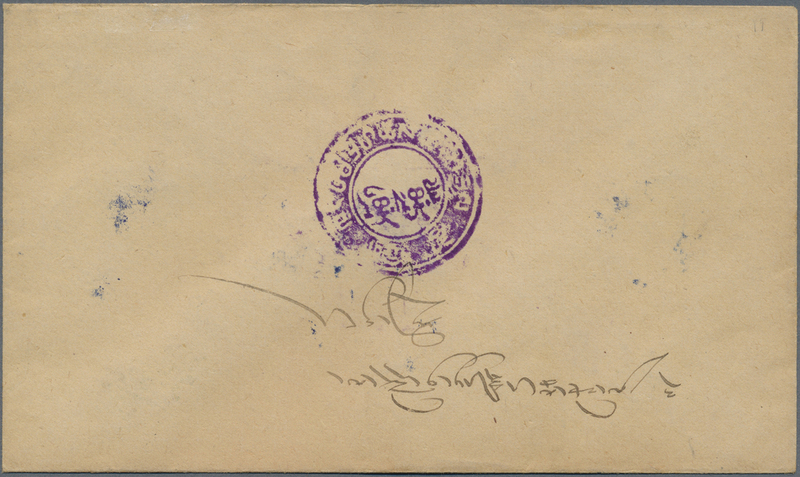 (32 mm, Wang type V) to reverse of inland cover. 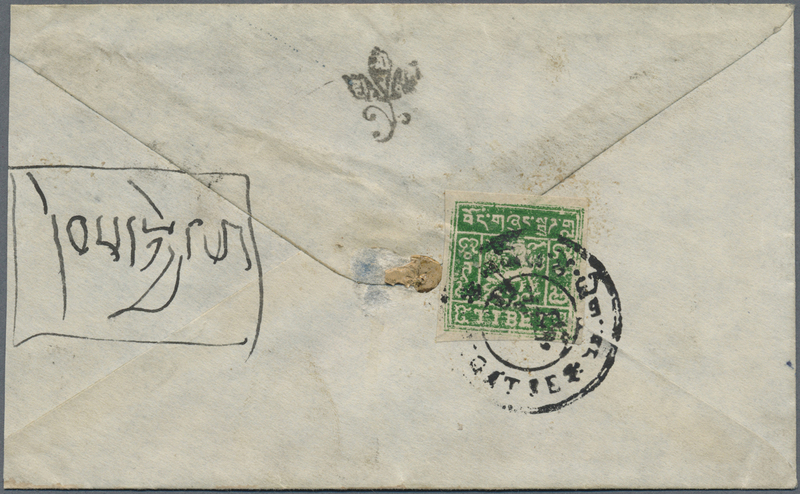 10007 Brief (cover) 1924, Himalaya expedition vignette in blue tied by violet "MOUNT EVEREST EXPEDITION/TIBET 1924/TRACTOR PARTY" mark (Waterfall type I) with India KGV 1a tied "YATUNG TIBET 11 JUL 24" (Waterfall B1) to expedition cover (imprinted on backflap: MOUNT EVEREST/EXPEDITON, / 1924) to Amraoti, India with 16 JUL backstamp. 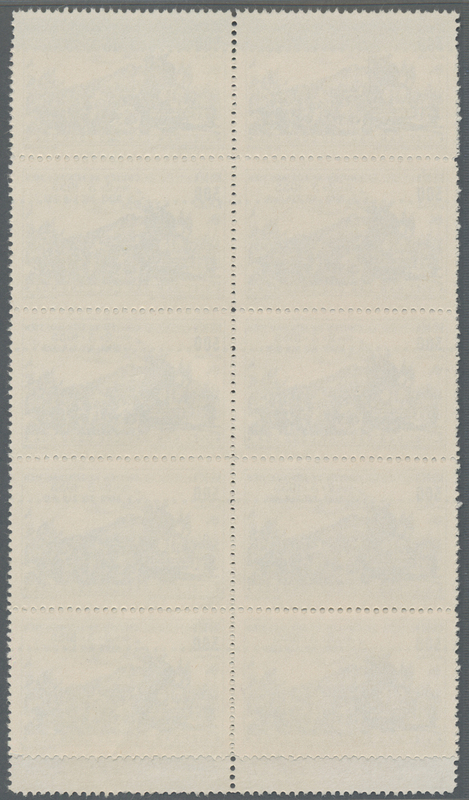 Commercial usage (faults). 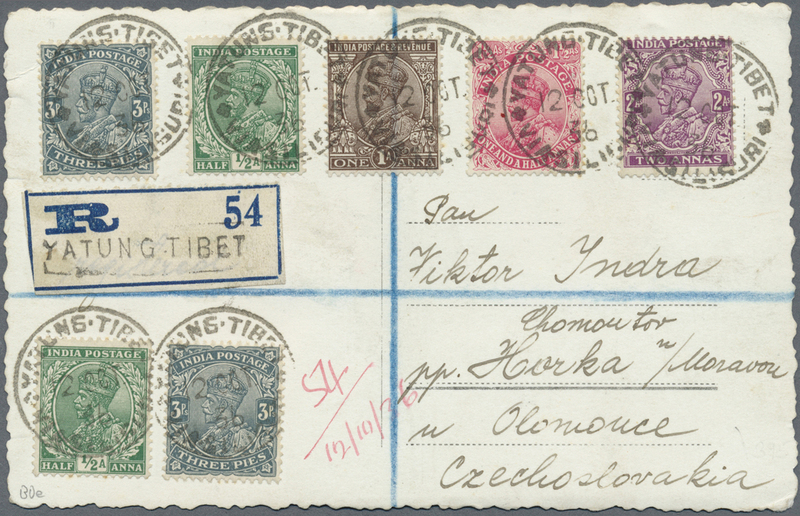 10008 Ansichtskarte (Picture postcard) 1924, Himalaya expedition vignette in blue tied by red "MT.EVEREST EXPEDITION / RONGBUK GLACIER BASE CAMP / 1924" in red (Waterfall Type IIa, Hellrigl E3) with India KGV 1/2 A., 1 A. tied "DA(RJEELING) 3 SEP 24" to expedition ppc to England. 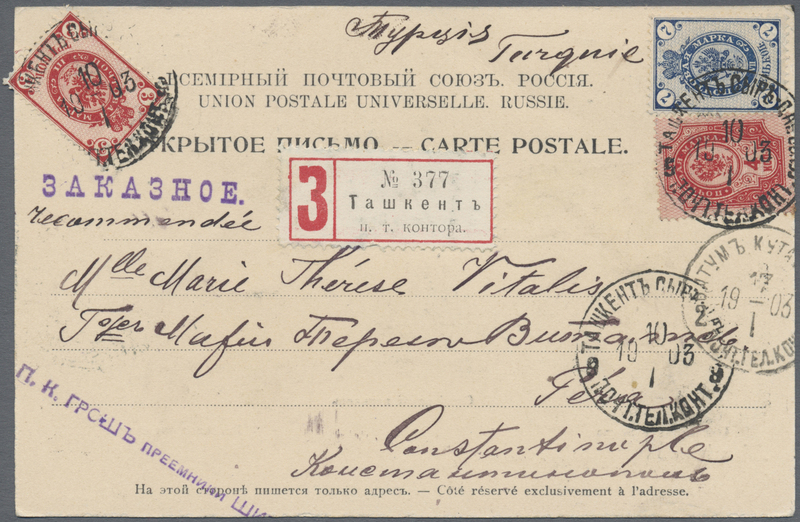 Text "Best Wishes J. 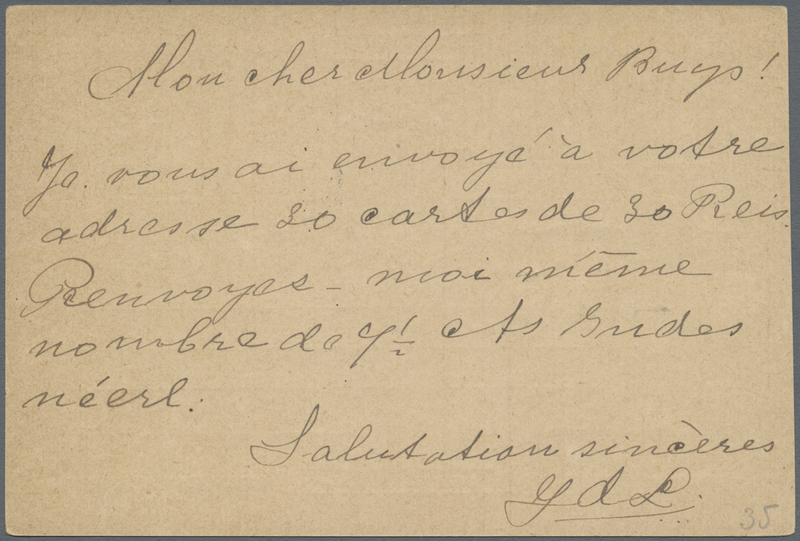 B. L. Noel. 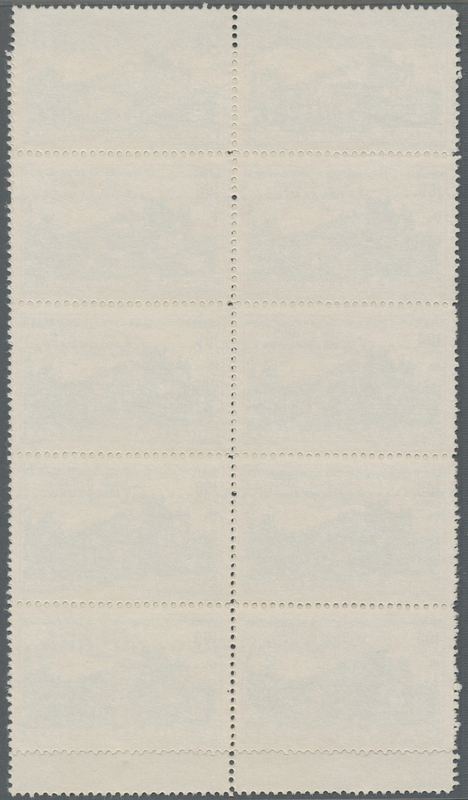 Captain / Mt. 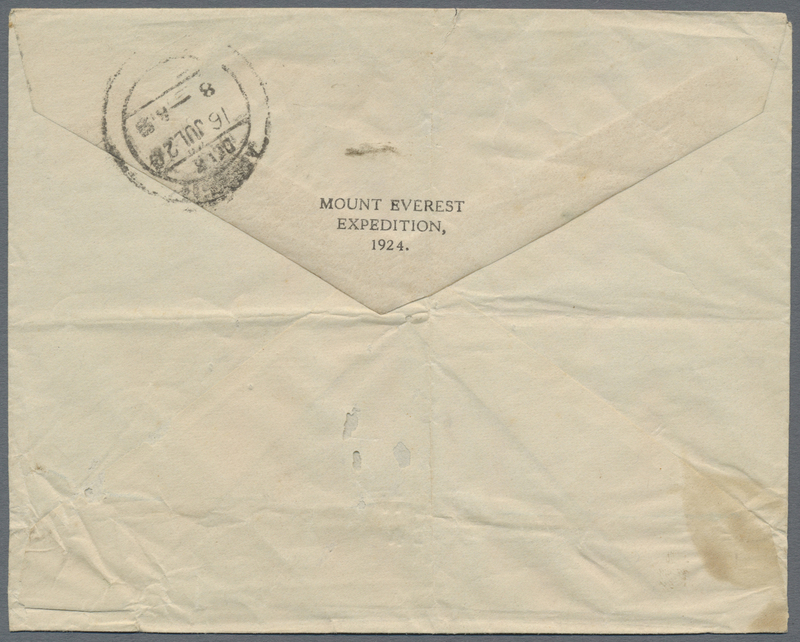 Everest Expedtion". 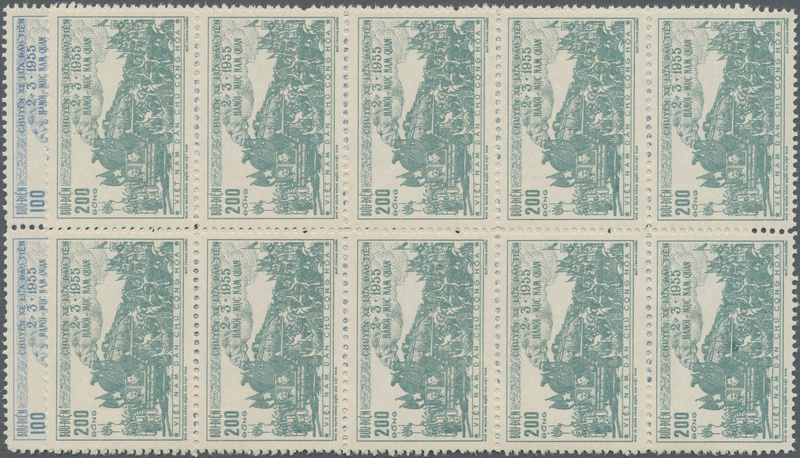 John Baptist Lucius Noel (1890-1989) was the photographer and movie camera operator of the expedition. 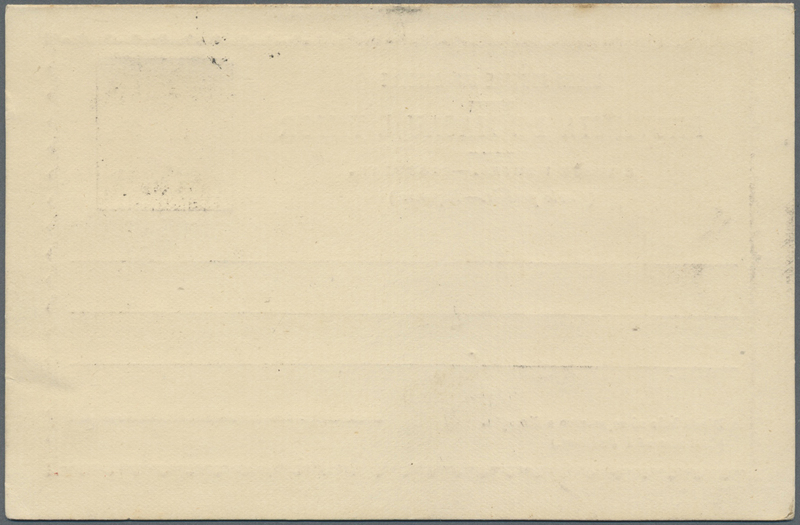 Card vertical bend and some specks at left. 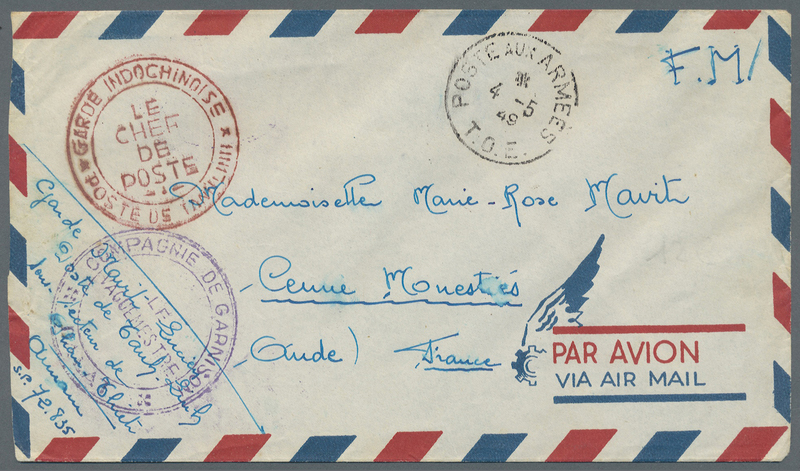 10010 Brief (cover) 11, 12 1933, 1 T. rose-carmine with 2 T. red tied large bilingual "PHARI“ to reverse of inland cover to Lhasa, unusual combination. 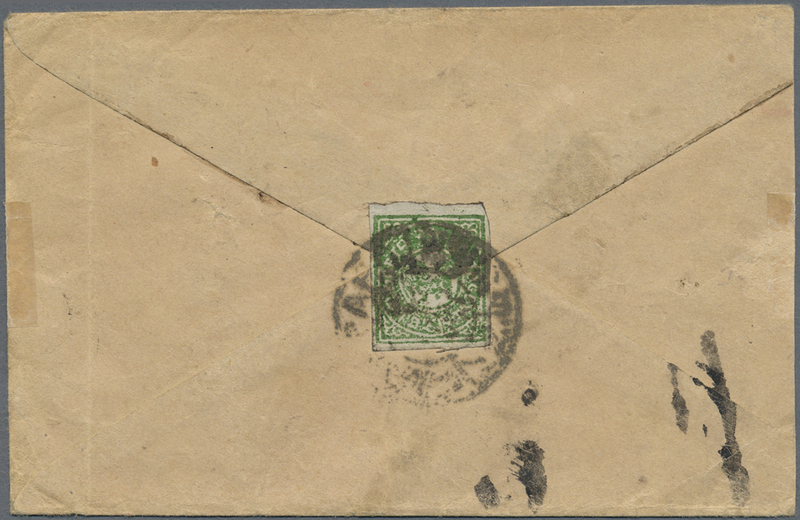 10012 Brief (cover) 13aA, 13c 1933/50, two inland covers: 4 T. emerald tied "GYANTSE" resp. 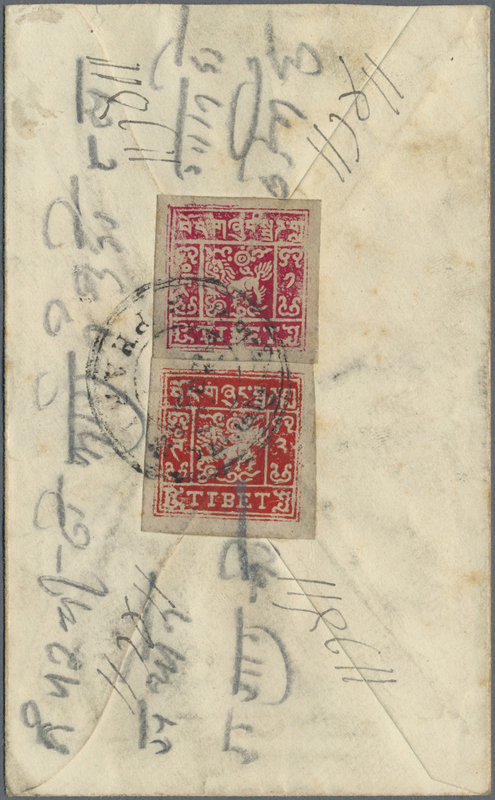 4 T. yellowish green, a left margin cop,y tied "LHASA" both to reverse of cover. 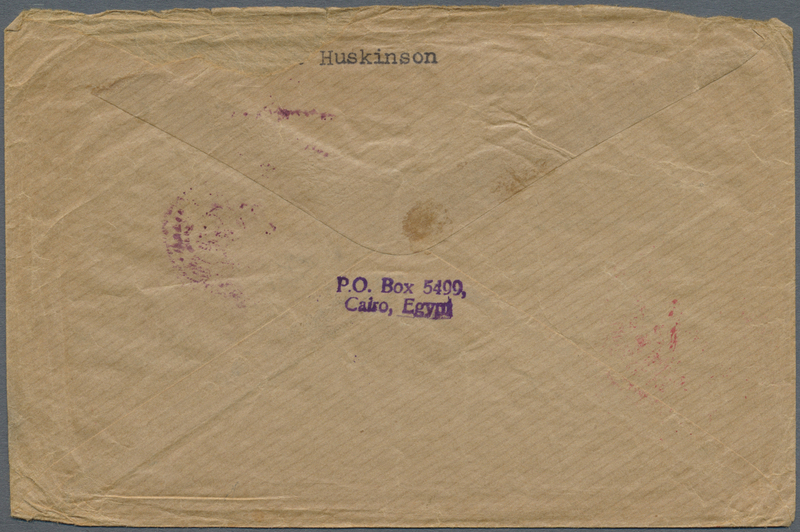 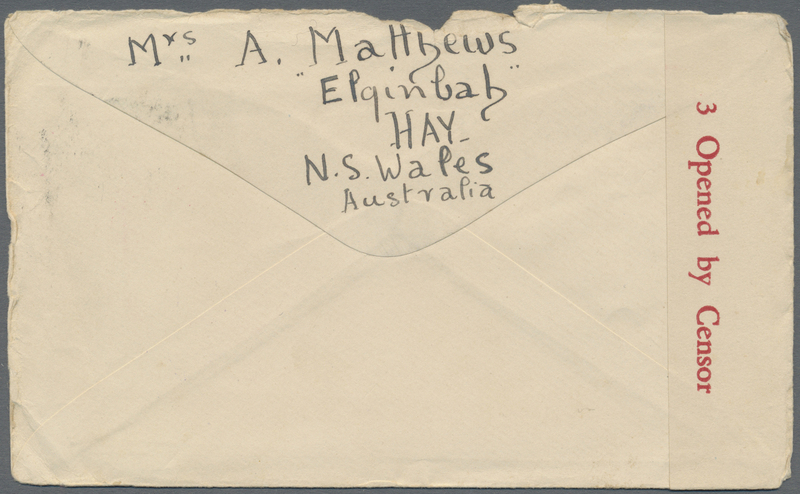 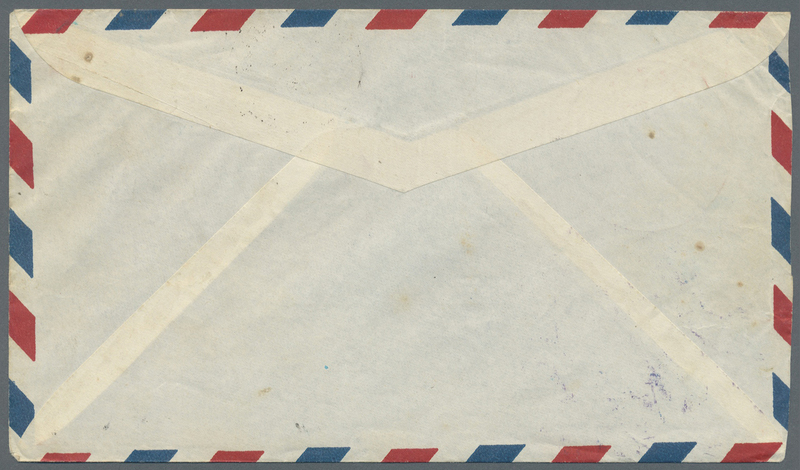 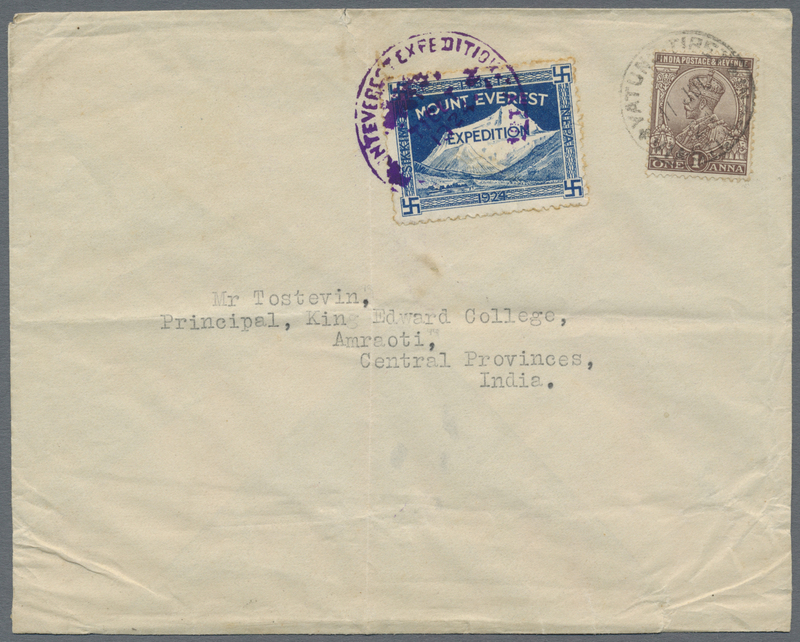 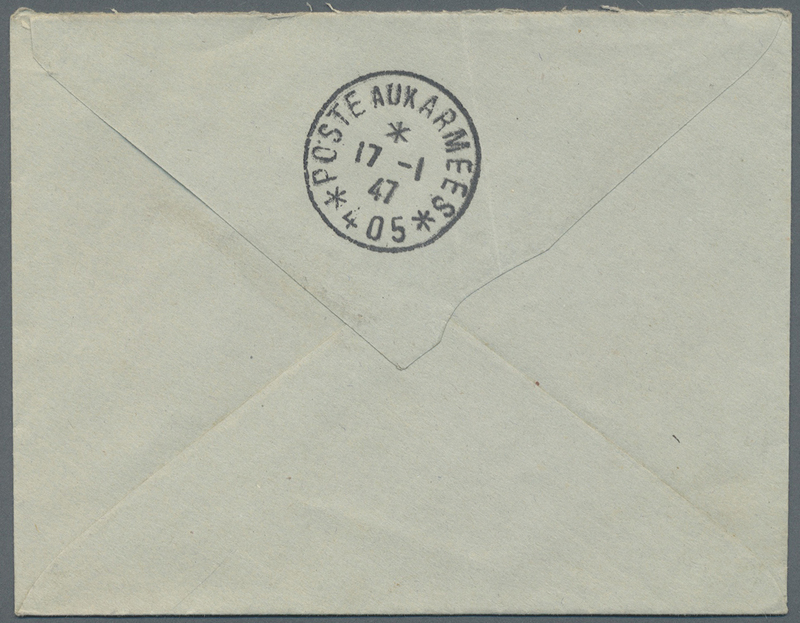 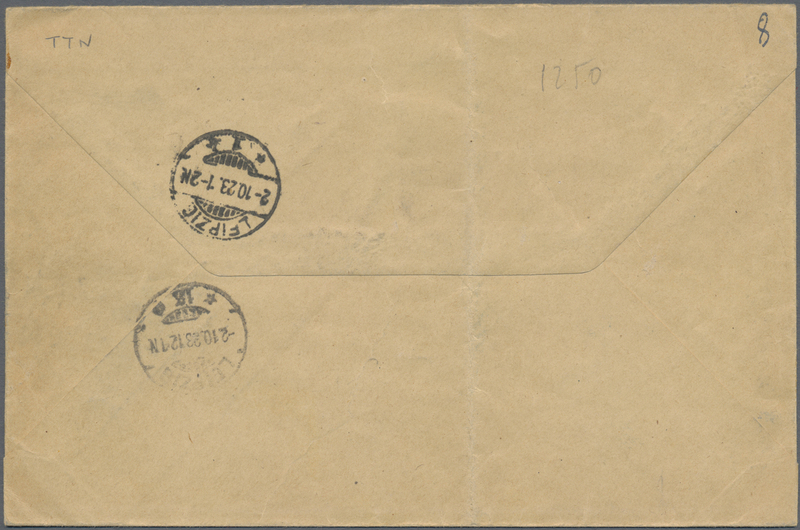 10013 Brief (cover) 1936, Yatung BPO: India ½ A. 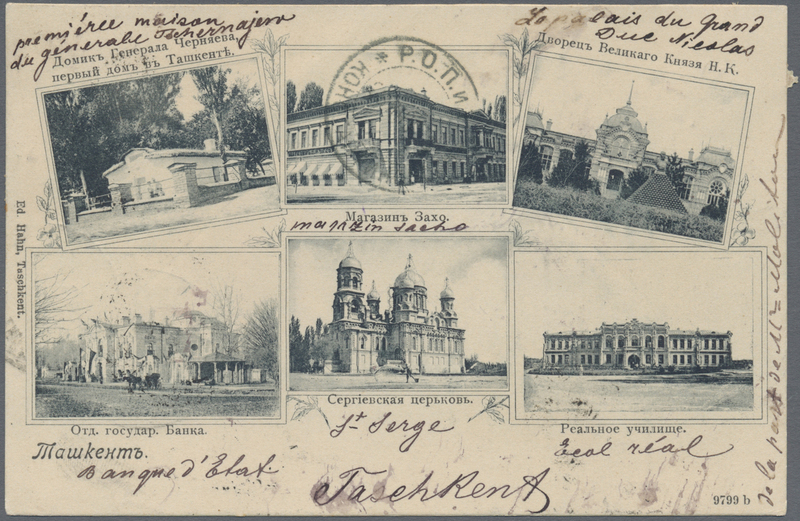 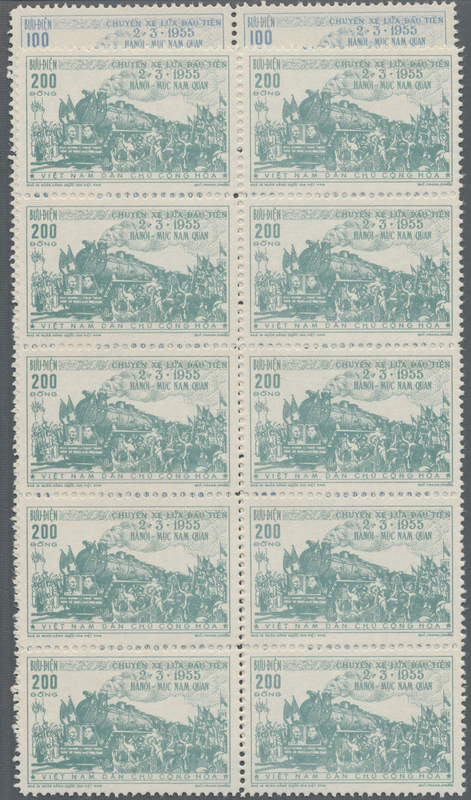 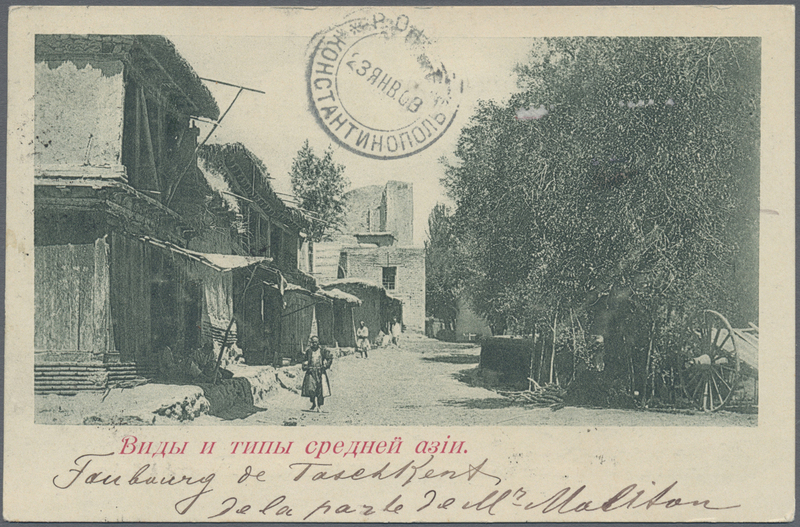 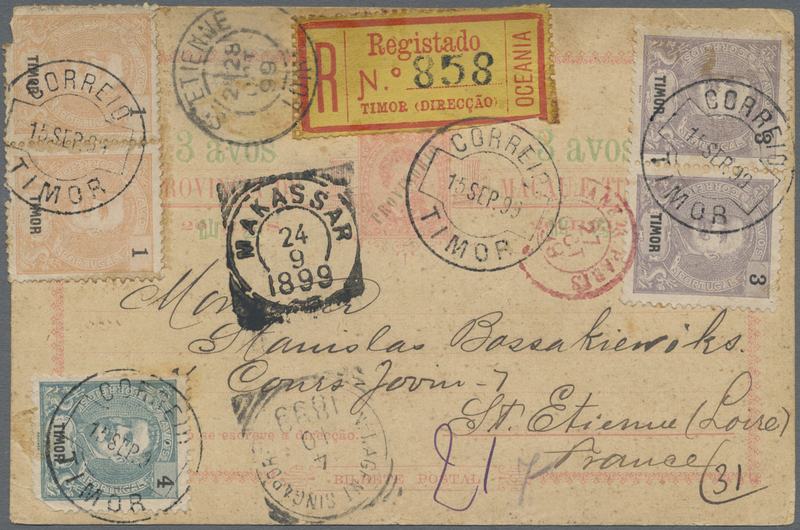 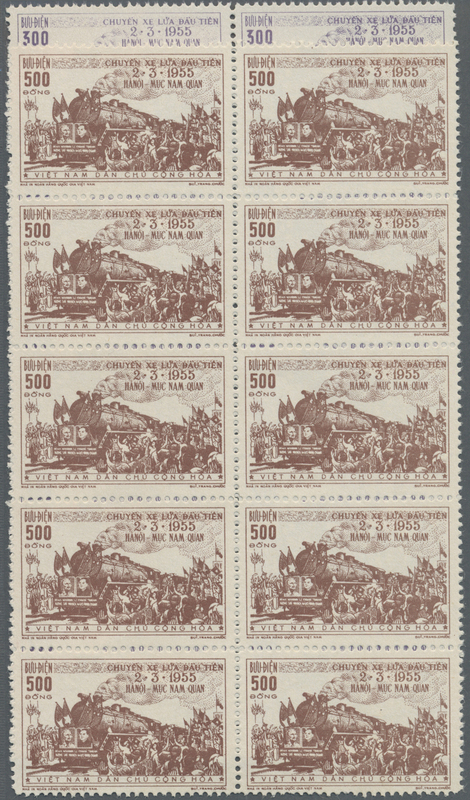 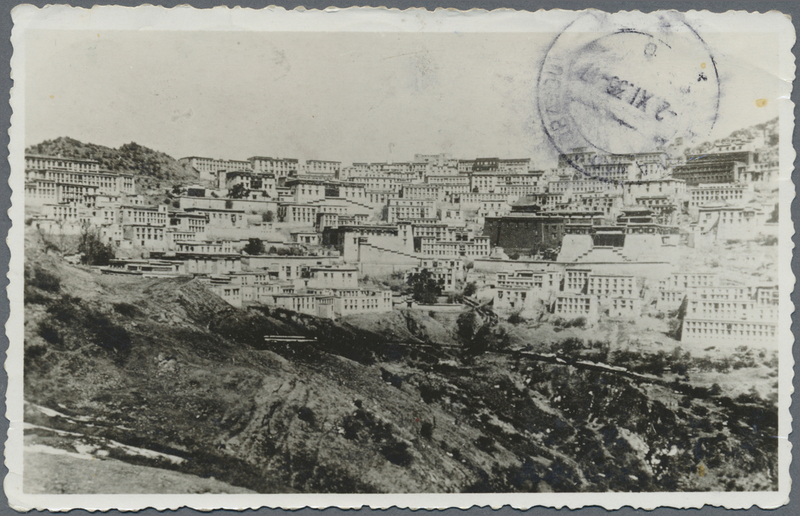 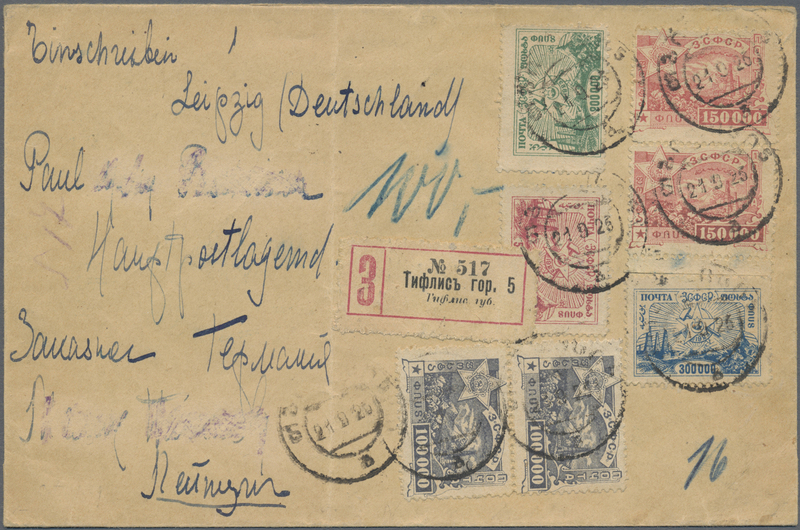 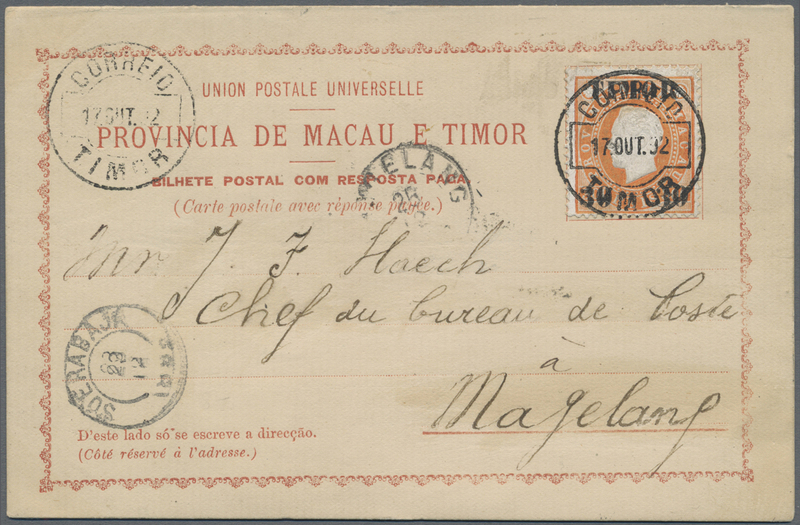 (2), 1 A., 1 ½ A., 2 A., 3 P. tied seven strikes "YATUNG TIBET VIA SILIGURI 12 OCT 36“ to registered real photo ppc with view of Lhasa to Olomouce/Czechoslovakia w. Nov. 2 arrival on reverse, attractive 5-colour franking. 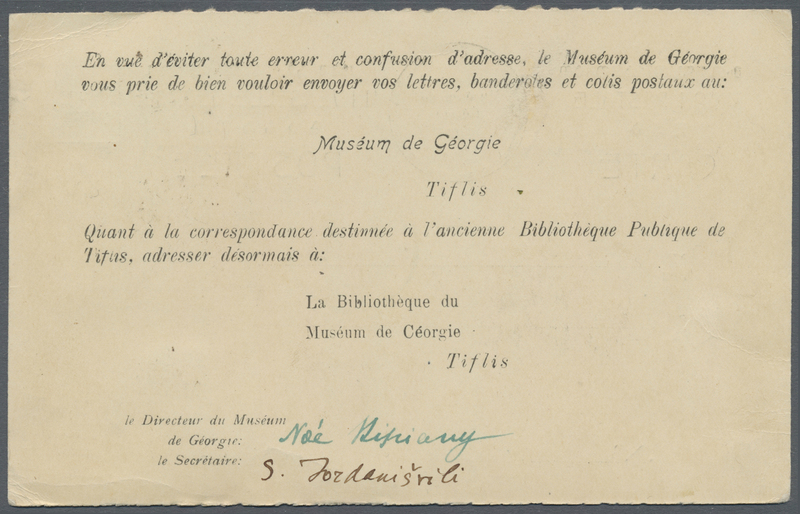 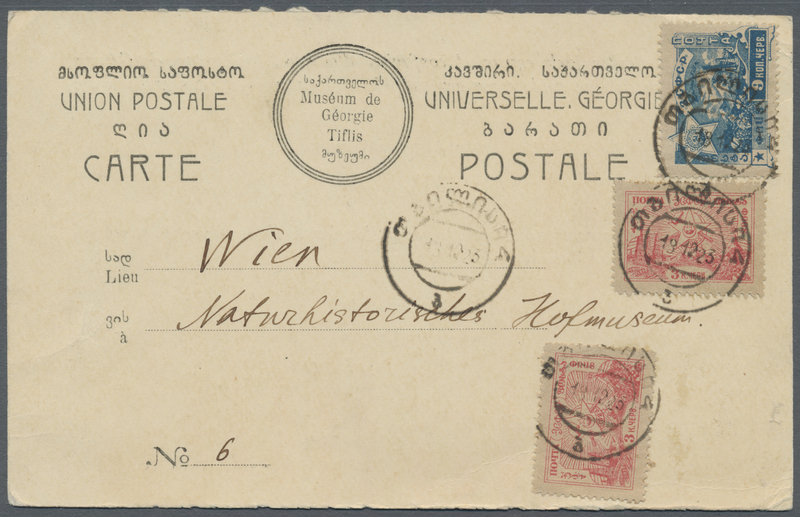 10023 Brief (cover) 35 (2), 38 1923, 9 K. deep blue and 3 K. rose (2) tied "TPLISSI 8.12.23" to printed name-change card of "Georgian Museum Tiflis" to Vienna, rare. 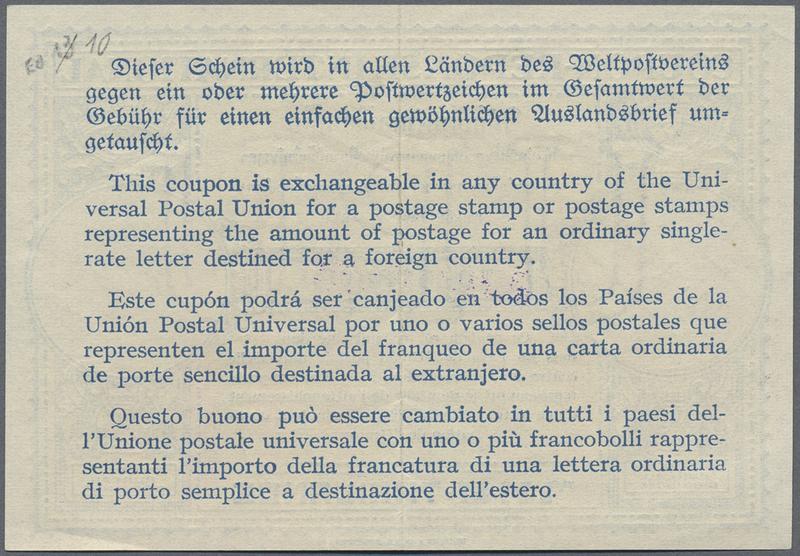 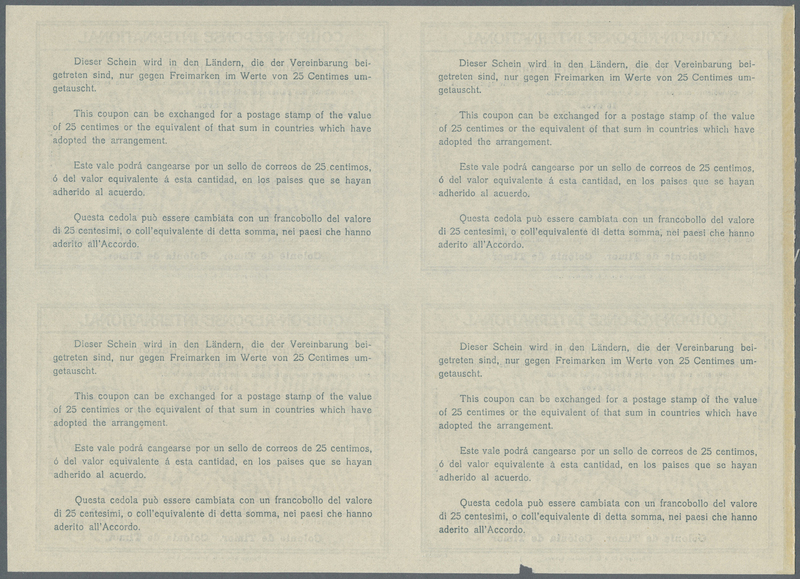 10025 postfrisch (never hinged) ** essays 1957 (ca. 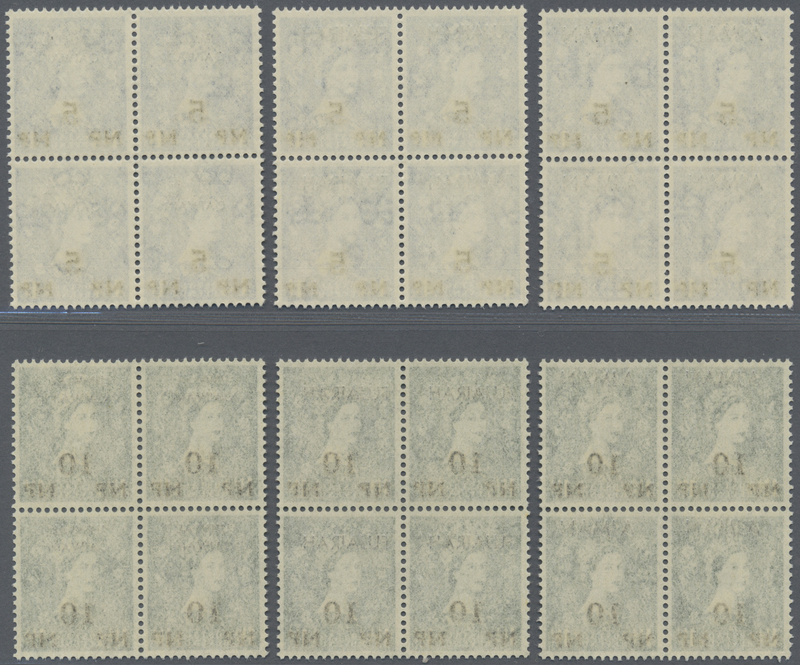 ), ESSAYS of the British Postal Agency with QEII stamps 5np. 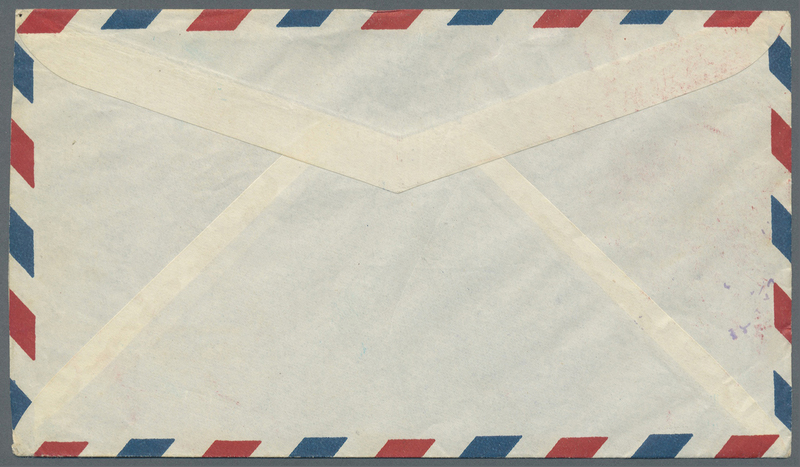 on 1d. 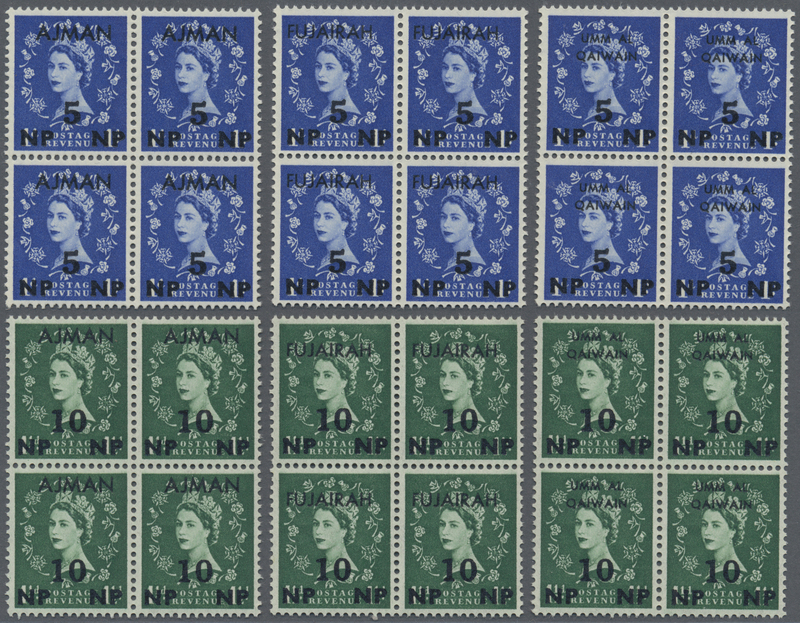 blue, 10np. 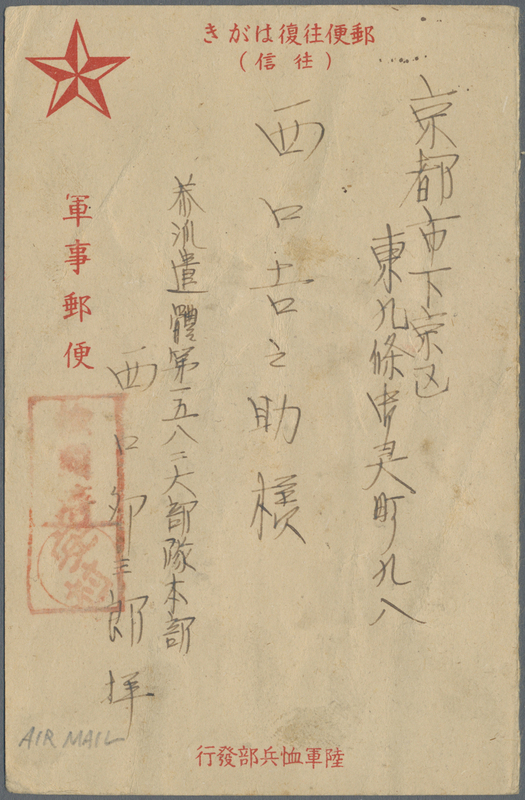 on 1½d. 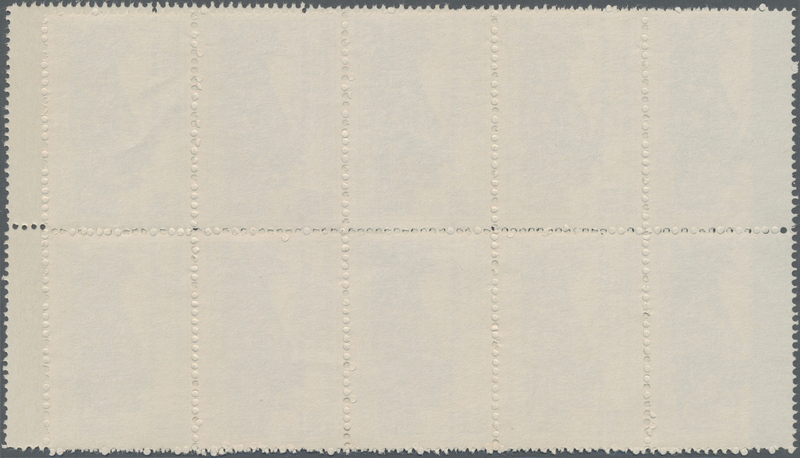 green, 15np. 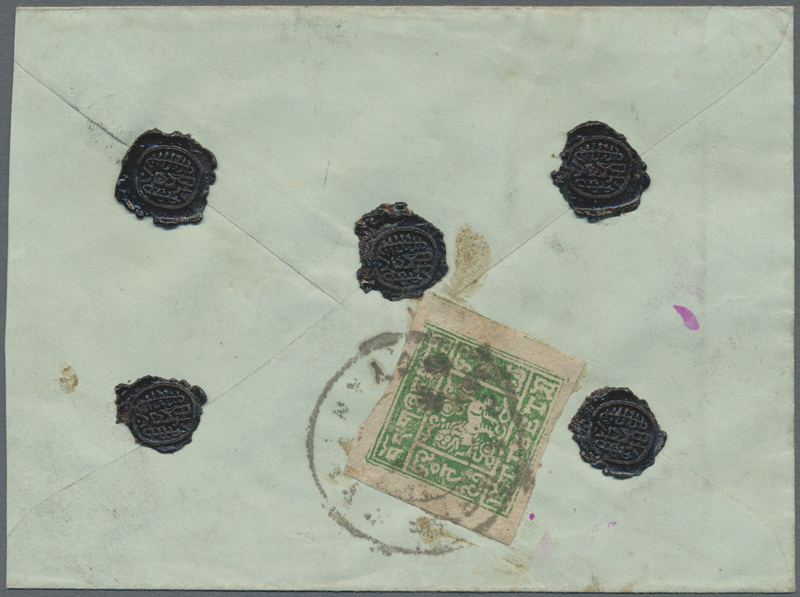 on 2½d. 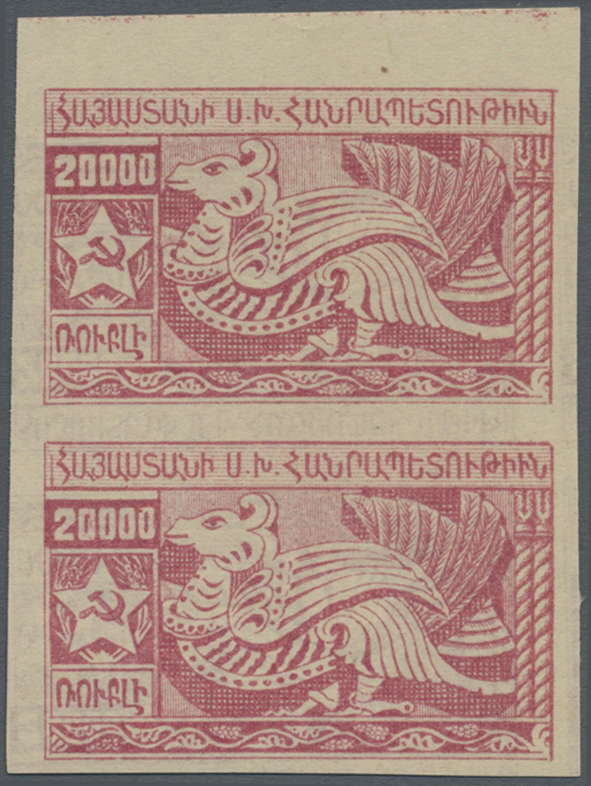 red and 20np. 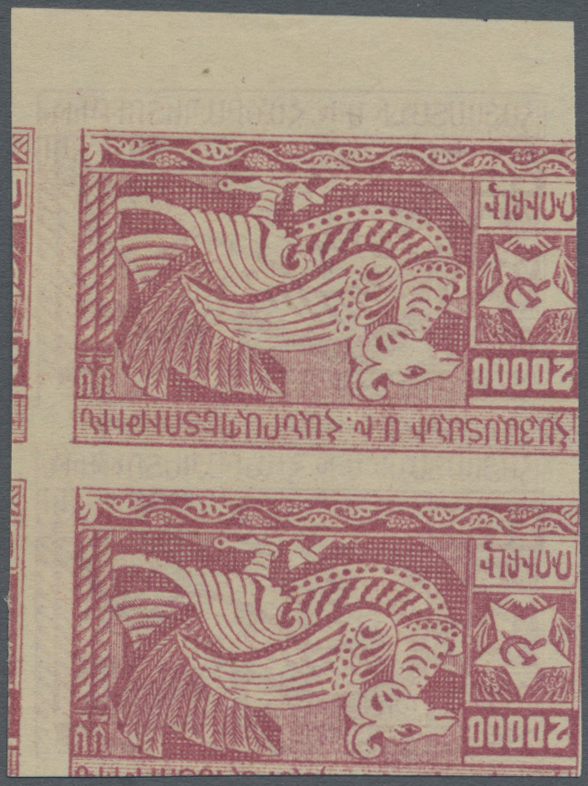 on 3d. 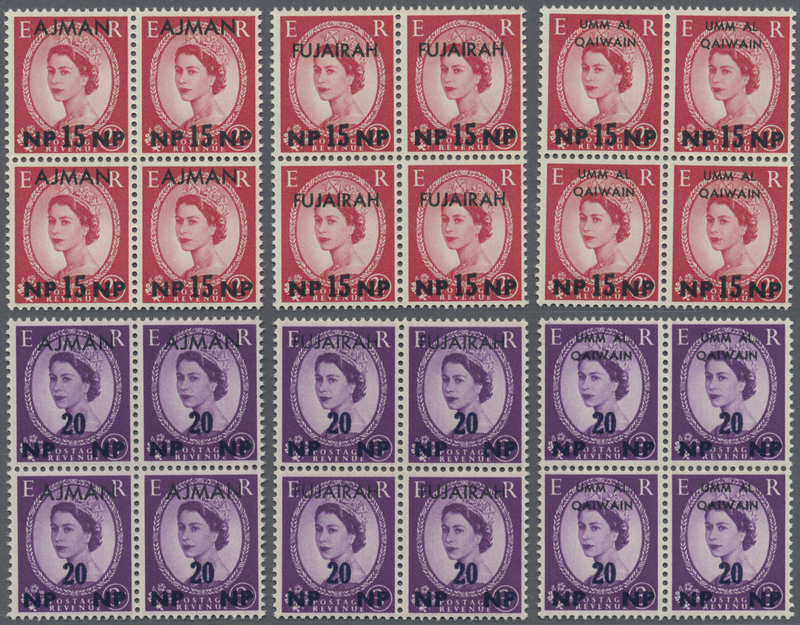 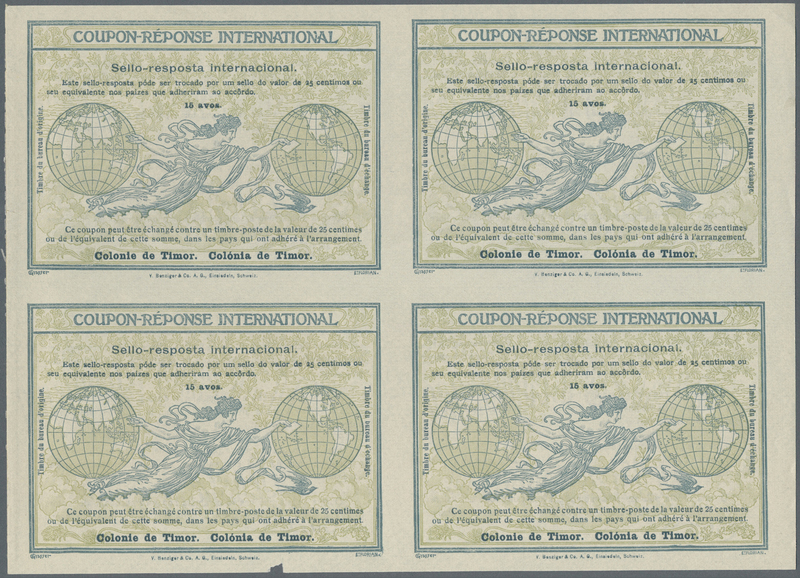 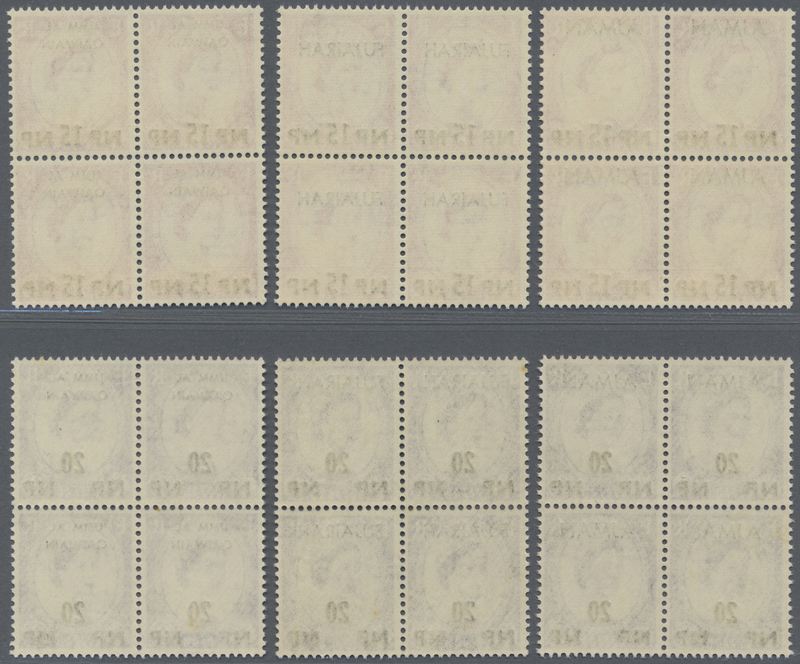 violet (complete sets of four) as issued for Bahrain or Kuwait but with additional opt. 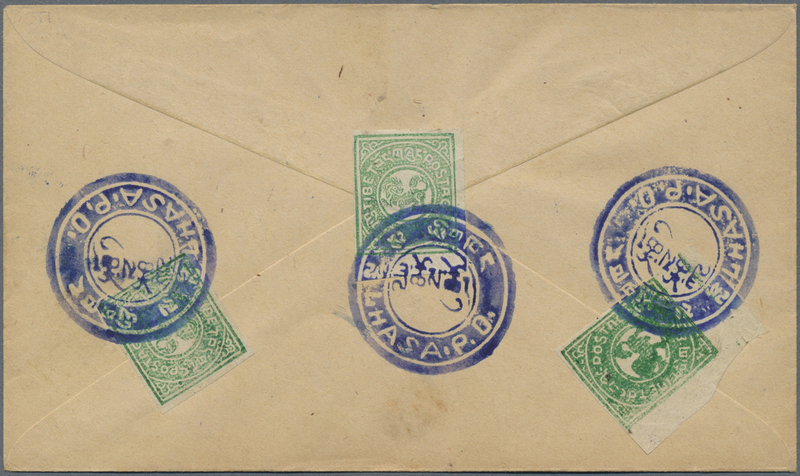 AJMAN, FUJAIRAH or UMM AL QAIWAIN all in blocks of four, mint never hinged, scarce blocks! 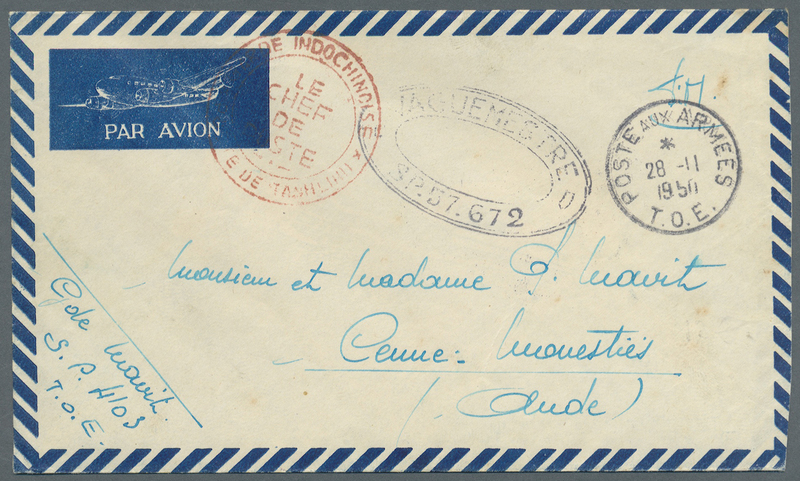 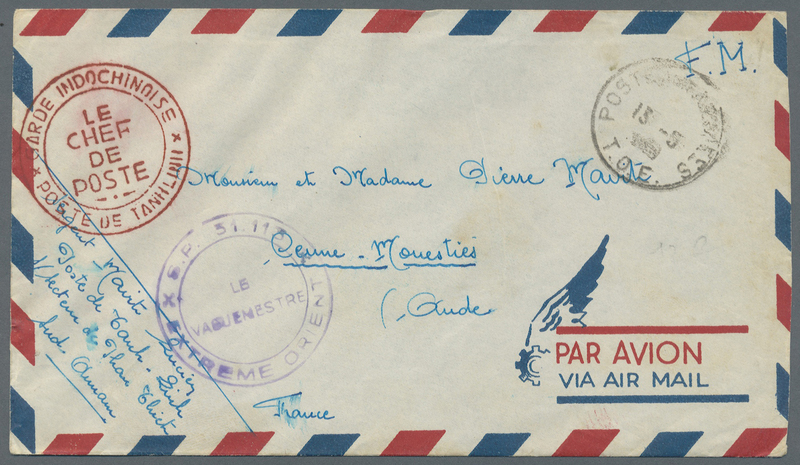 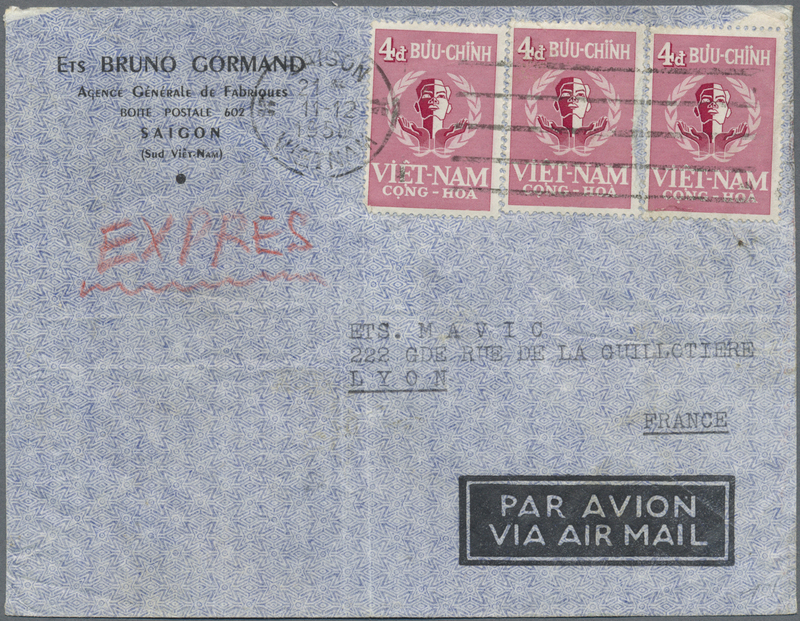 10034 Brief (cover) 1958, 4d (3) tied machine "SAIGON 11 12 1958" to express air mail cover to France with Dec. 14 Lyons backstamp. 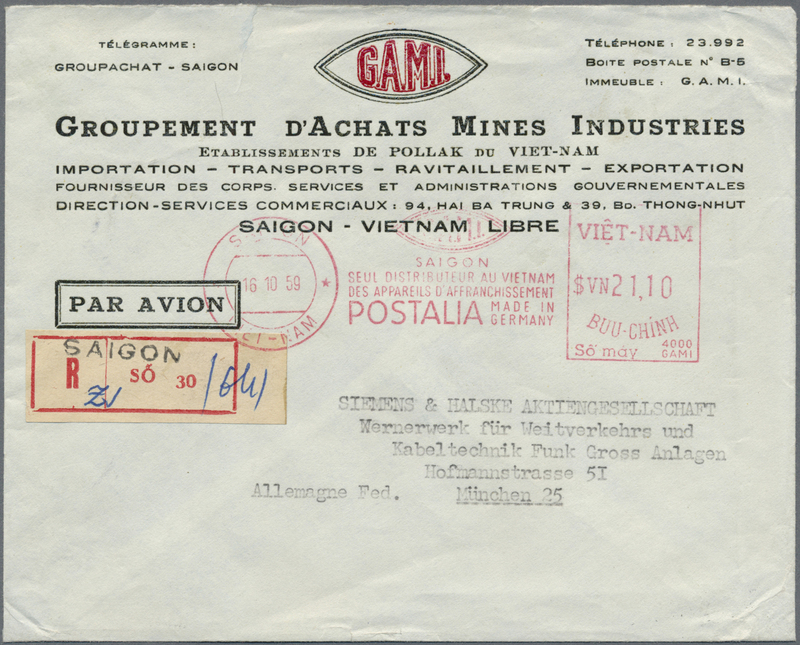 10035 Brief (cover) 1959, meter by Postalia $VN21,10 from "SAIGON 16 10 59" to registered cover to Siemens&Halske Munich/Germany, meter PR says "SAIGON / only distributor in Vietnam of meter machines / POSTALIA / Made in Germany", scarce.